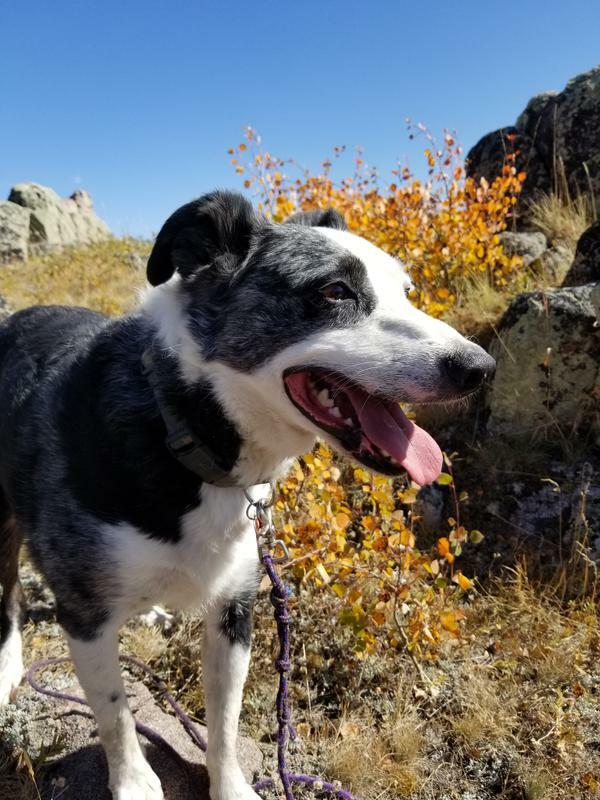 Quirk is a 4 year old mixed breed (according to his DNA test, more than 6 breeds!) He has an endearing expression and a sweet personality. He is pretty shy with people, especially men, but clearly wants to be involved with them. His ideal home would be a quiet and patient single person who would let him snuggle on the bed and go hiking, but would not expect him to be a social butterfly with strangers. He is fine with cats with a proper introduction. Oh, and did we mention the cutest ears? Quirk is neutered and current on vaccinations. 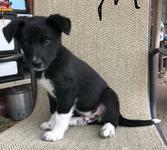 Thomas is a border collie/corgi mix. He is about 5-6 years old. He is a character but probably needs an experienced and firm home as he will push limits when permitted. 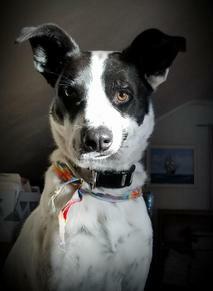 Dallas is a 6 year old Australian Shepherd/Border Collie/Cattledog mix. He is super affectionate with his owner and likes to sleep under the covers when its cold out. Dallas tends to make questionable decisions in ambiguous situations and needs a handler with a quiet lifestyle and good management skills. 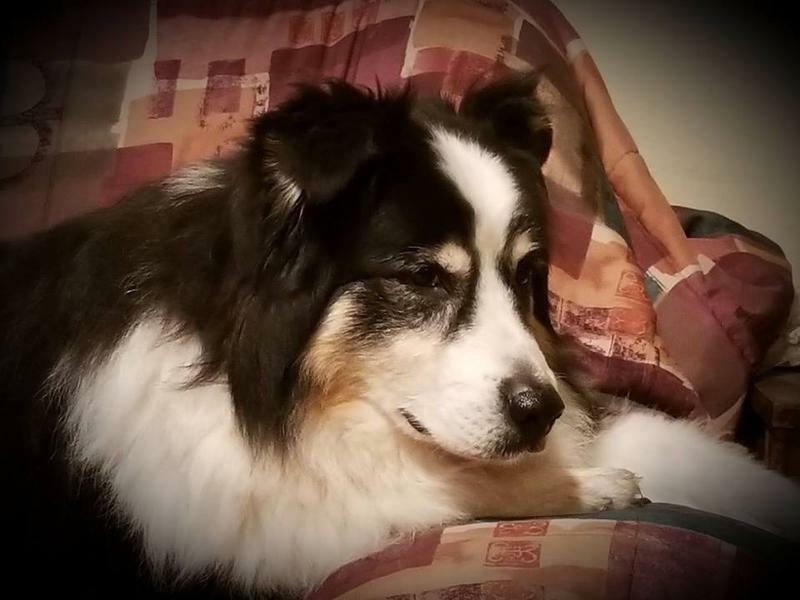 Wrigley is a neutered 9 year old​ Australian Shepherd with a tail. He's had a tough past and will need a patient person who is willing to accept his quirks. He can be very loving and is a handsome boy. He does have high anxiety and a few behaviors such as pulling on a leash and not tolerating grooming well. 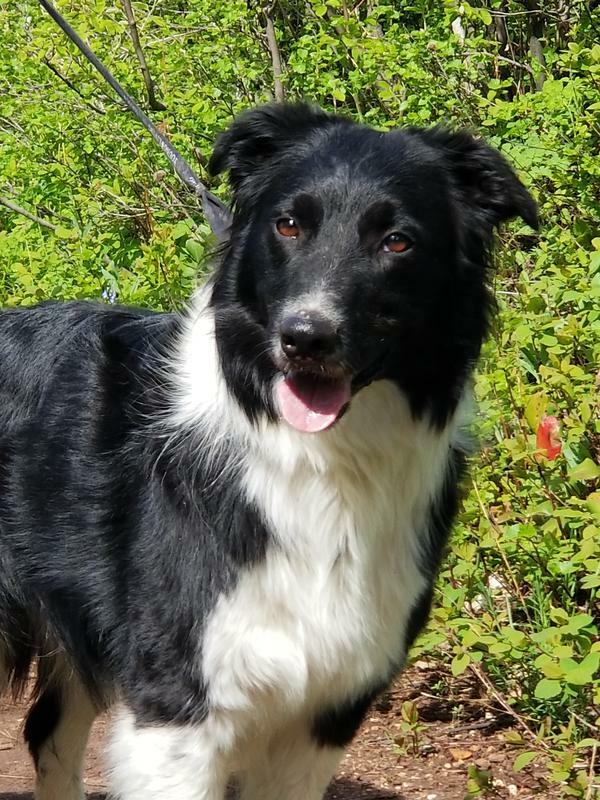 Opie is a young Border Collie around three years old. 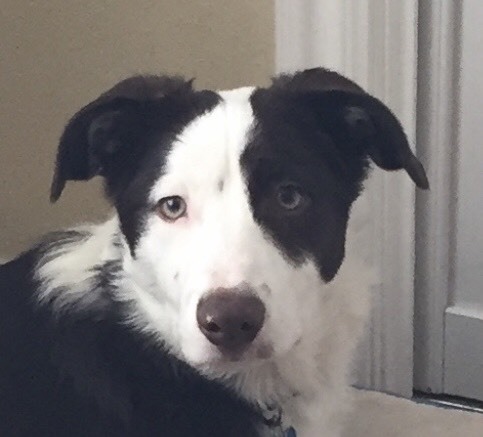 He is very smart, learning commands often after just a couple instructions. 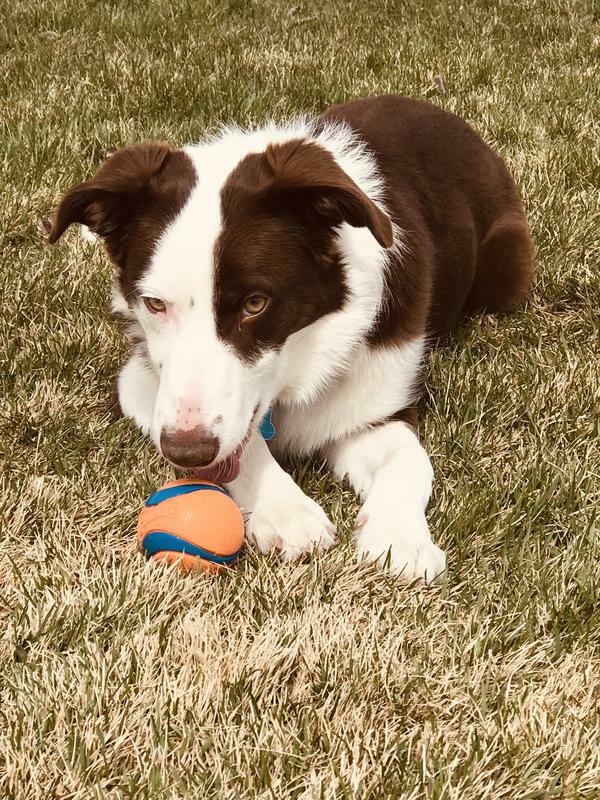 He knows all the basic commands; come, sit, stay, heel, roll over, back up, bring me your ball “no, the other ball”… He is active and enjoys walks, rides, and just being with his people. He can be high energy, but chills out with you in the evening. He is neutered and up to date on vaccinations. 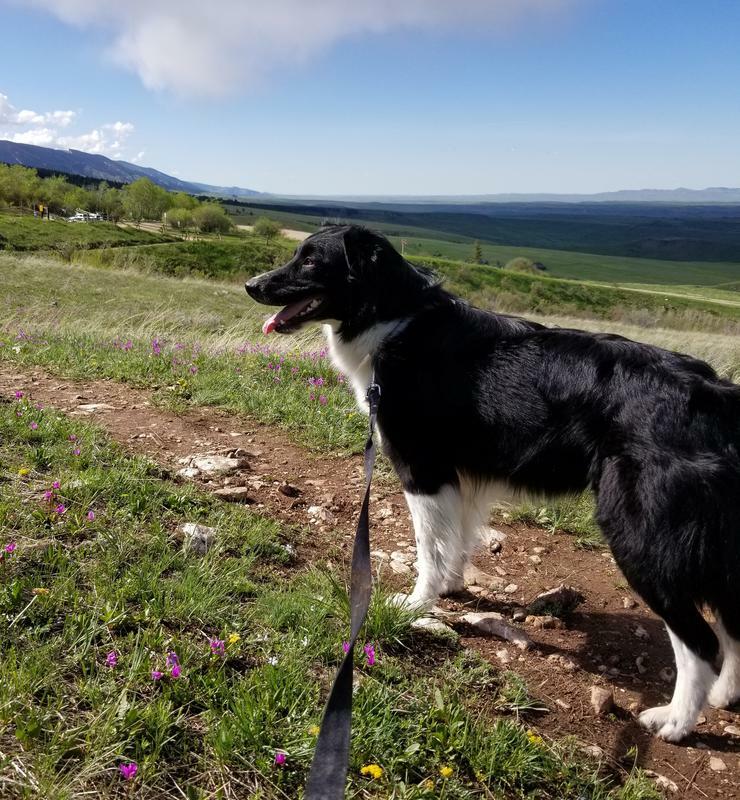 Being a smart active Border Collie, he does best with plenty of exercise and stimulation such as daily walks, following along off leash when you go hiking, horseback riding, or on your bicycle. 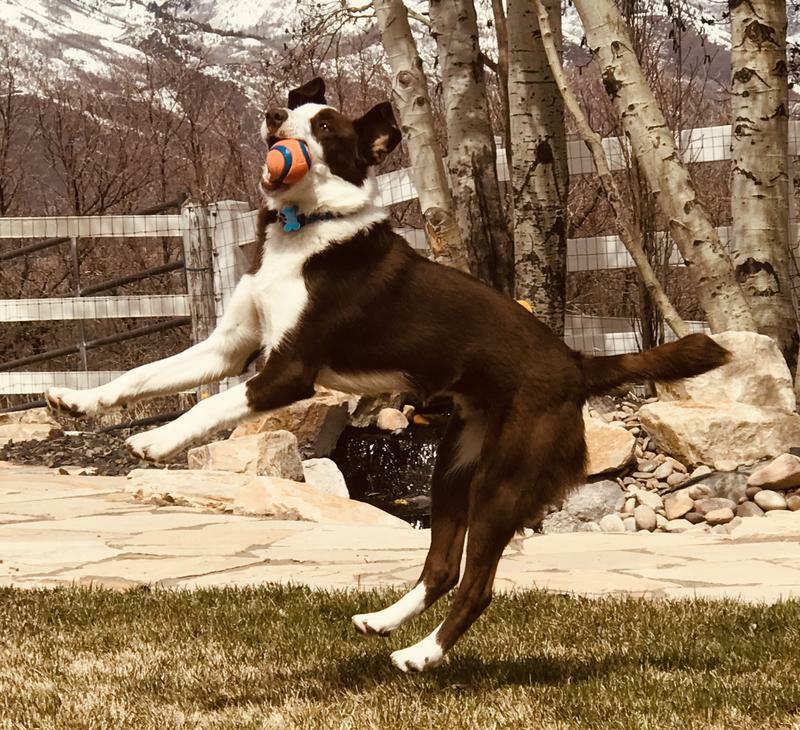 He really enjoys games of fetch with a ball or Frisbee. 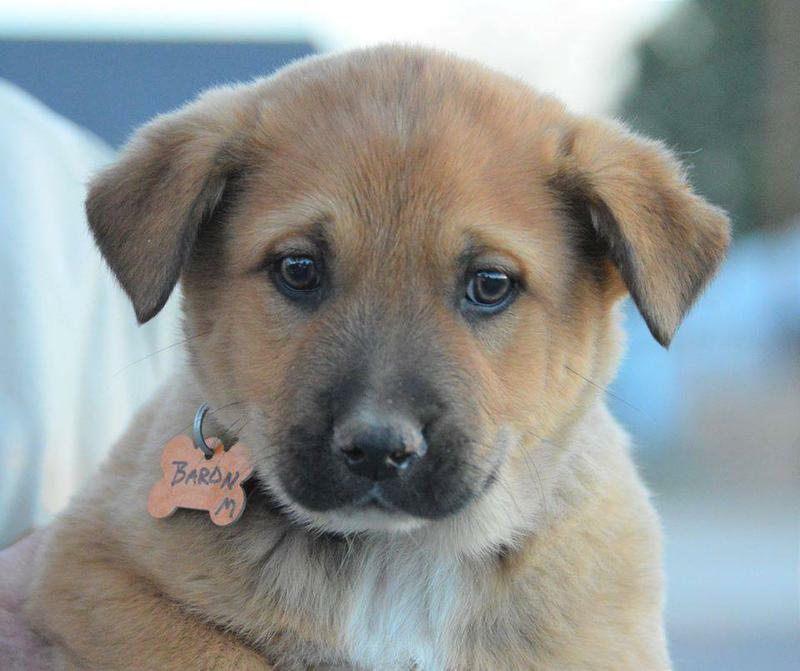 He just wants to be with you as you work around the yard and as your travel companion. He loves to go for rides. 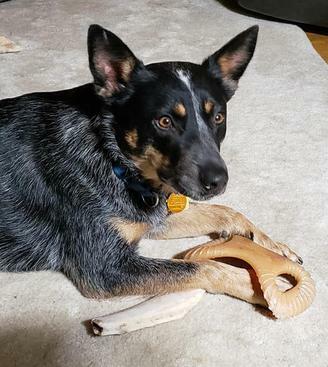 Opie endured some rough times before he came into Herd and has made great progress, however, he still has some food aggression issues to work out with his forever home. 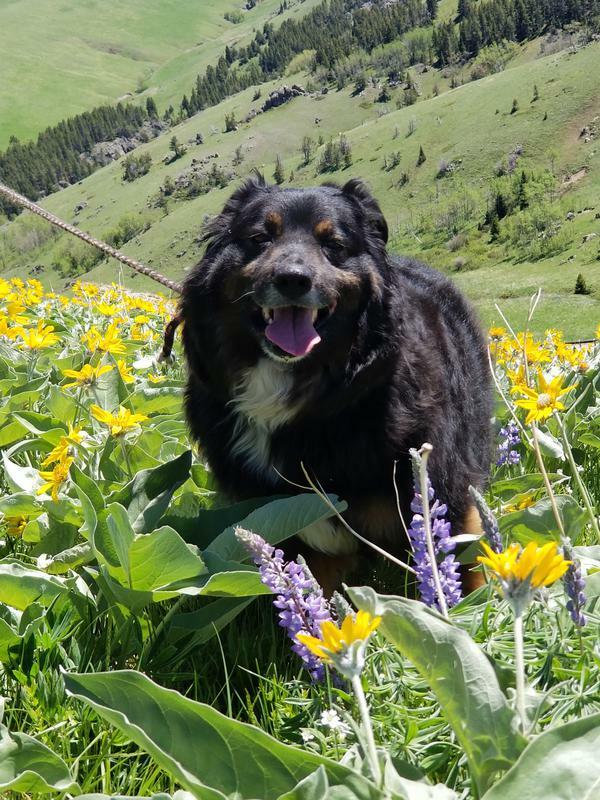 But on his walks, he enjoys meeting other people and friendly dogs. 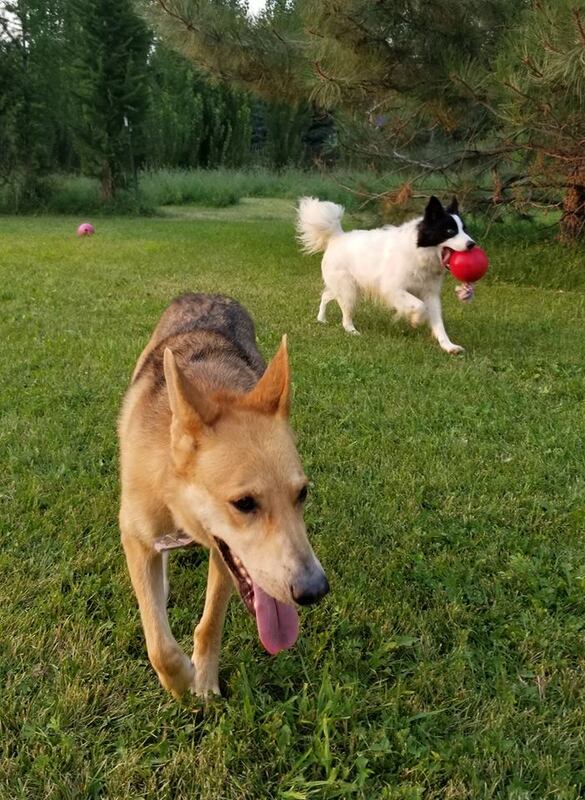 He’s very tolerant of the foster puppies we have, letting them haul his ball away and sometimes playing chase with one. 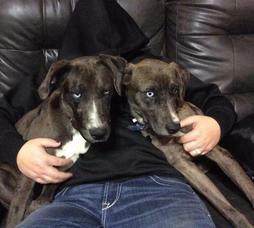 At this time, it is recommended that Opie not be in a home with small children. He has gotten used to our cats but is still a little wary of them when they get close. 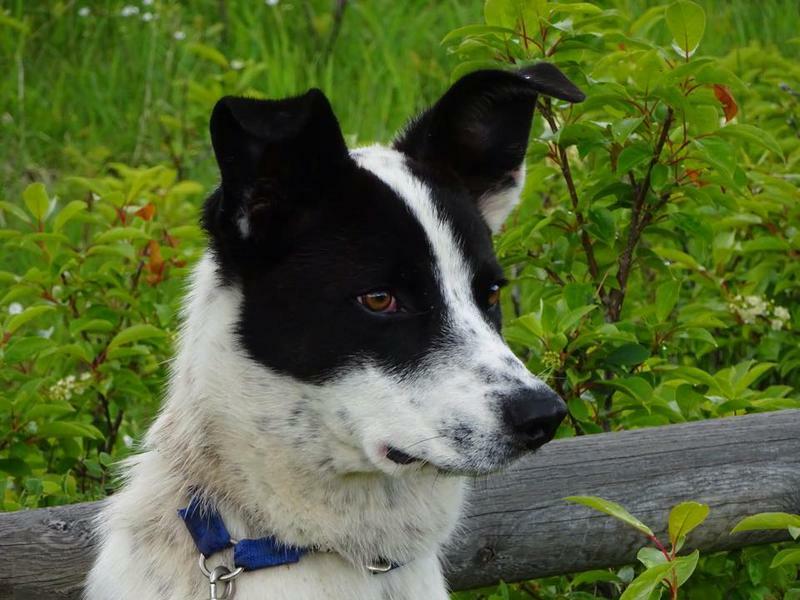 We think he would be best with an active rural family where he has a job to do and be in the company of his people. 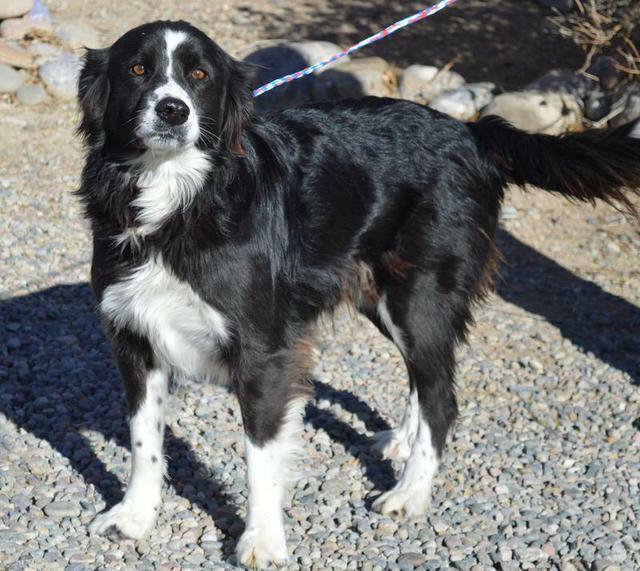 Petunia is a 2 year old border collie mix. 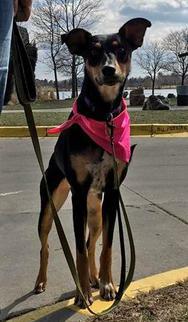 She is a fun, busy bouncy girl, she would love to have another young dog to play with, she loves to run next to the skateboard around town. 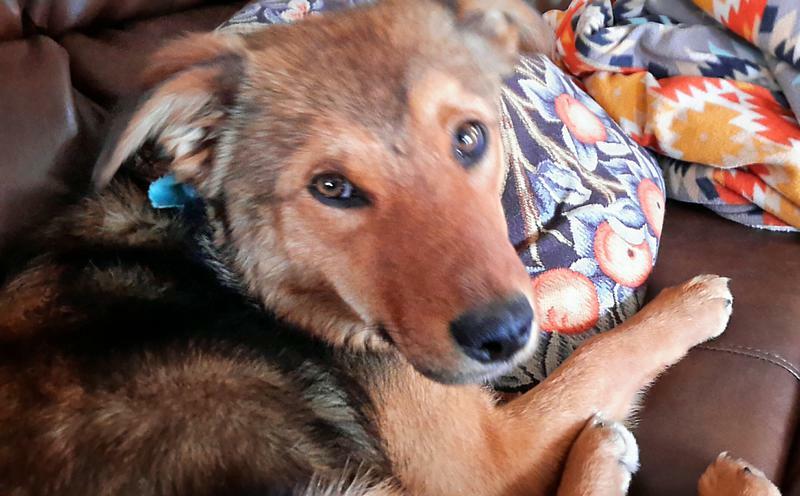 She's medium prey drive, doesn't react to running kids, doesn't fetch, bikes are nothing to her. She did chase the kitty when the other dogs did, but otherwise would just be curious, sniffing and mostly ignoring. She's housebroken so long as someone sees her go to the door to ask to be let out. She sits, downs and has a good recall. She knows wait for food and the door. She does need to be kenneled without supervision, she will still chew things if her toys are hidden, and will counter surf, this a new behavior, compliments of Claire. 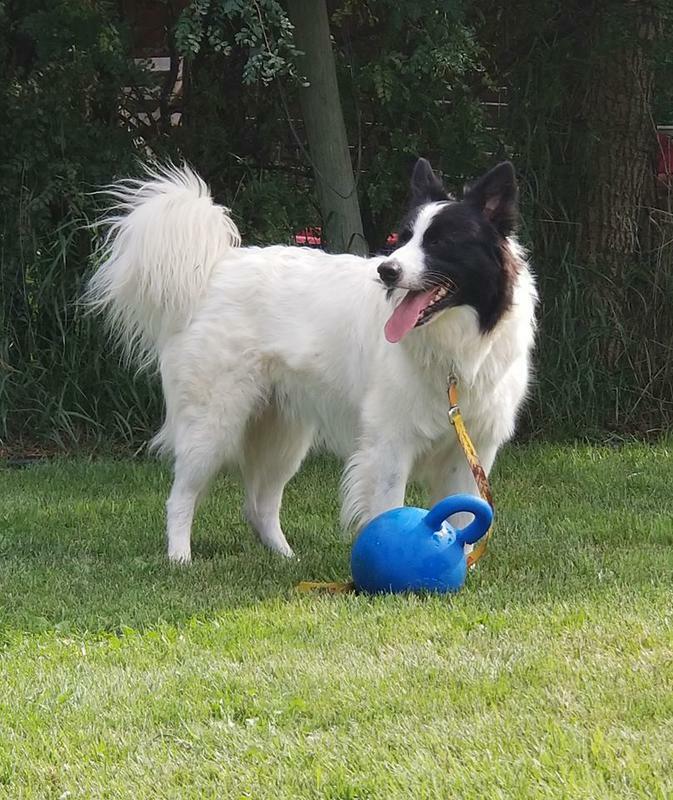 She still will piddle when putting on a collar and won't approach if you if she sees the leash, so we just leash in the kennel and then she's ready and happy to have an adventure. She's very food motivated I've taught her "yes!" as her mark word and she loves it. She's still working on settling in the house and will make a horrible squeak whine yip noise if kenneled while people are hanging out, but sleeps all night until she has to pee, and is quiet while we're at work. It's just when there's people she wants to be in the middle of things, or wrestle with Claire, or tease Twist with toys. She rarely submissively urinates, only if she's excited while greeting and gets petted right away. She still has that ingrained reaction, but again, it's so rare that we're surprised when it happens now. 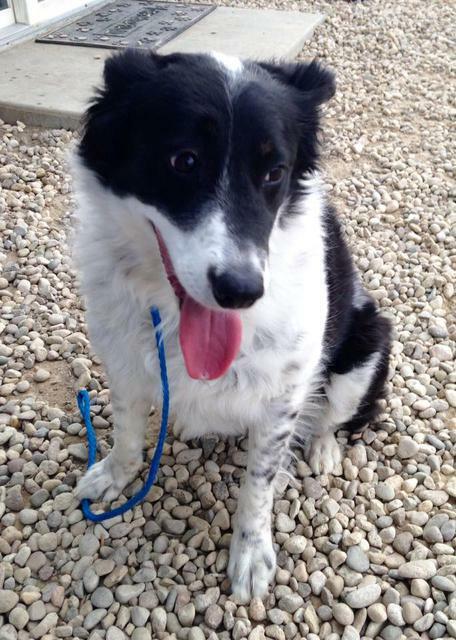 Oreo is a 2 year old neutered male border collie. Oreo came in with some touch sensitivity, which has greatly improved. 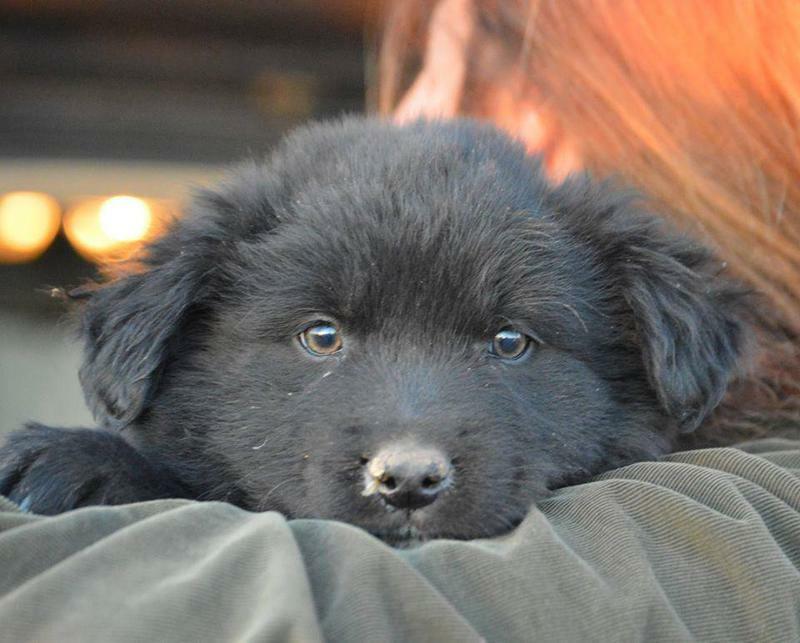 He is now a very cuddly boy, but because of this history, we are recommending no homes with children under 13. 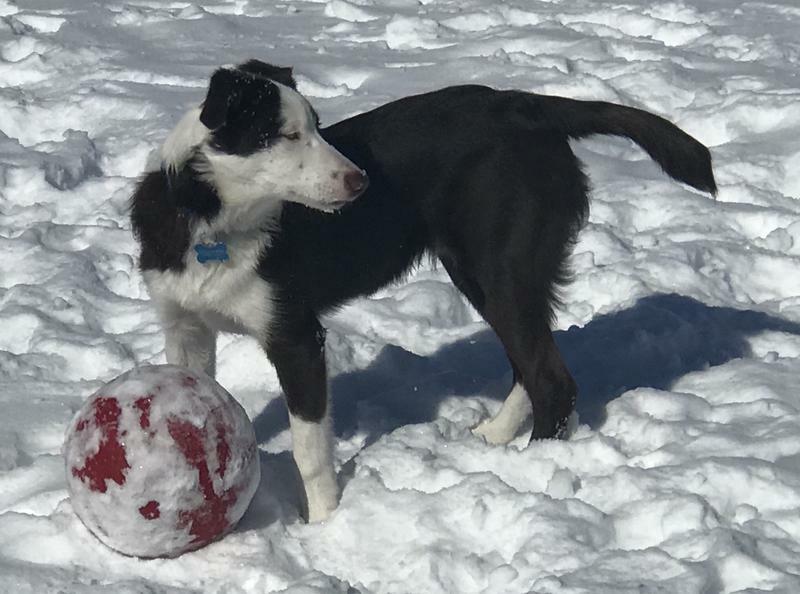 Oreo likes to fetch and would probably also be a good running buddy. He would do best in a home without cats. 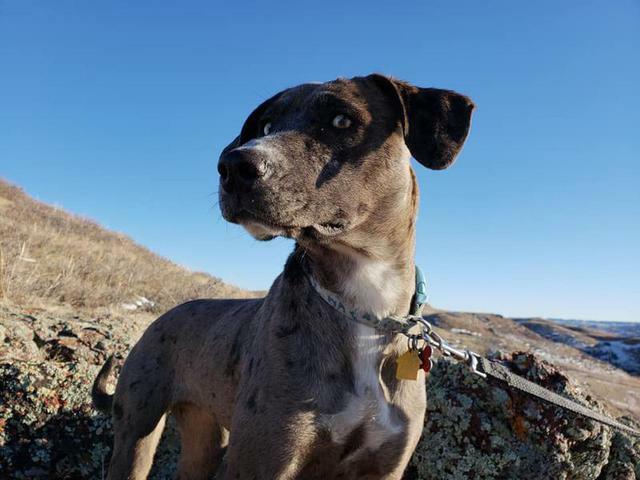 Lucy is an 12 month old Catahoula Leopard Dog. They are sweet as can be. 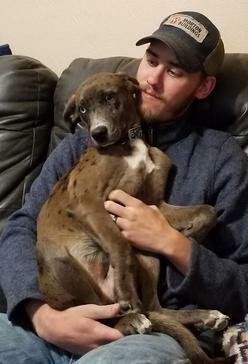 Lucy loves to crawl in someone's lap. 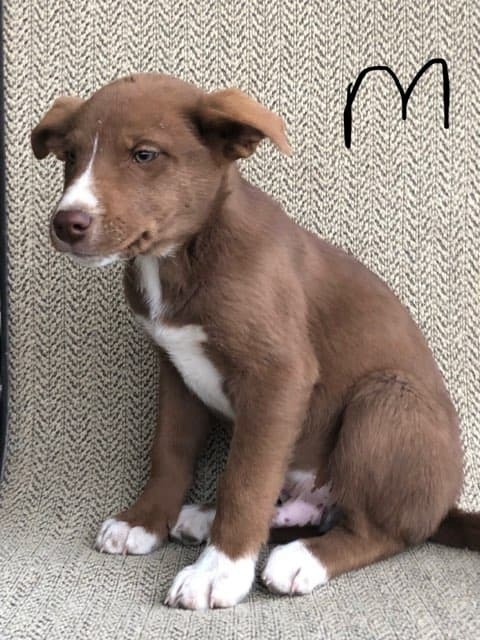 She will be great as a family dog. She is currently about 40 lbs. 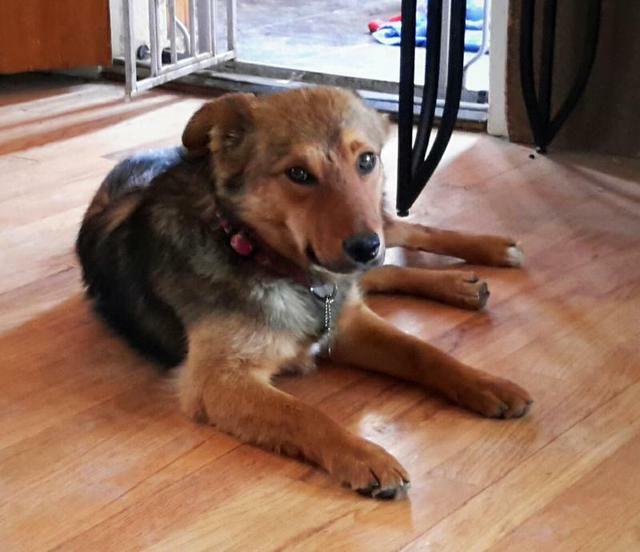 Foxy is a sweet German Shepherd/Collie mix. 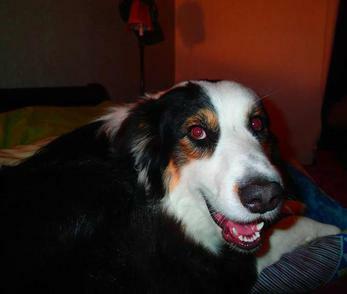 She is great with cats, likes to play with playful dogs, and is good with people. She weighs about 55 lbs. and is 6 years old. 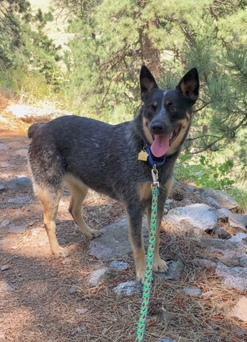 She likes to hike on leash or romp in the yard. ​Introducing Lady Lala. 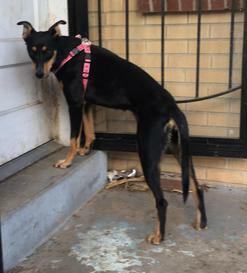 This young girl is the total package...she is young maybe 12 to 18 months old, she is potty trained, leash trained, and crate trained. 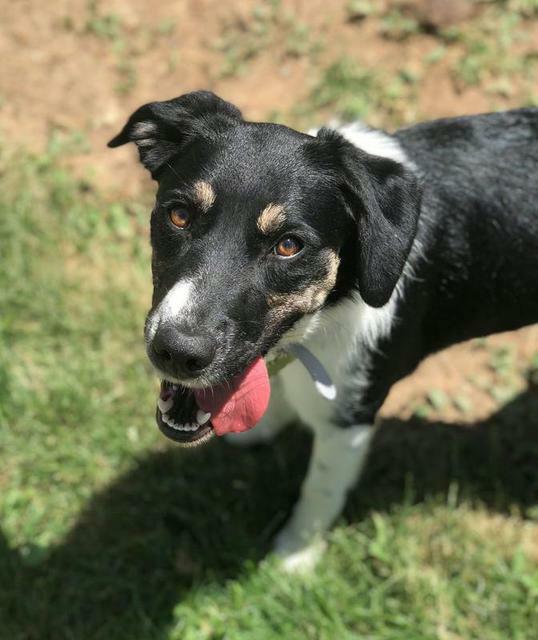 She is a compact (30 pounds) energetic girl, who just loves to play with humans or other dogs...she loves to chase after balls or squeaky toys and loves all stuffed animals. She can be a bit over protective of her food bowl...that is off limits to other dogs while she us eating she is totally fine with humans taking her bowl but does draw the line when it comes to sharing with other dogs. She loves to be brushed and behaves like an angel when she goes to the groomer to get her fur fluffed. 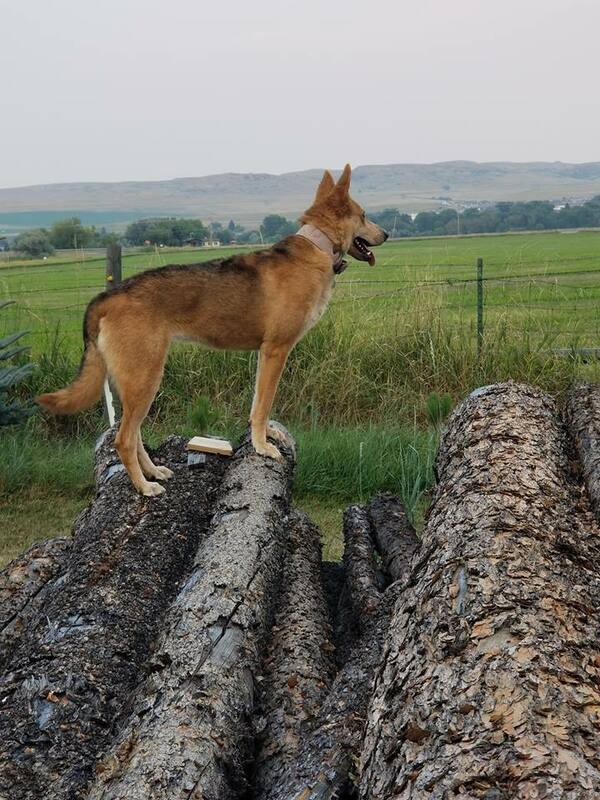 She is also not a barker, unless of course someone knocks at the door, or if there is a bunch of deer in the yard but who can blame her. 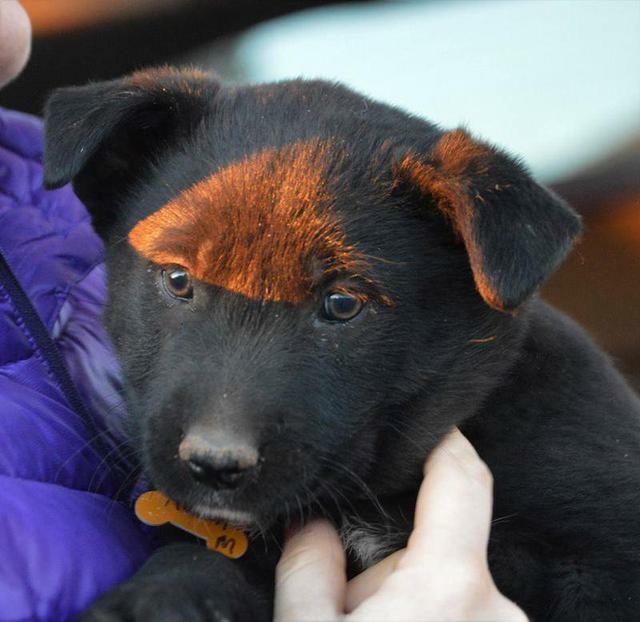 Lady Lala will make some lucky person very happy she is such a loving pup!! 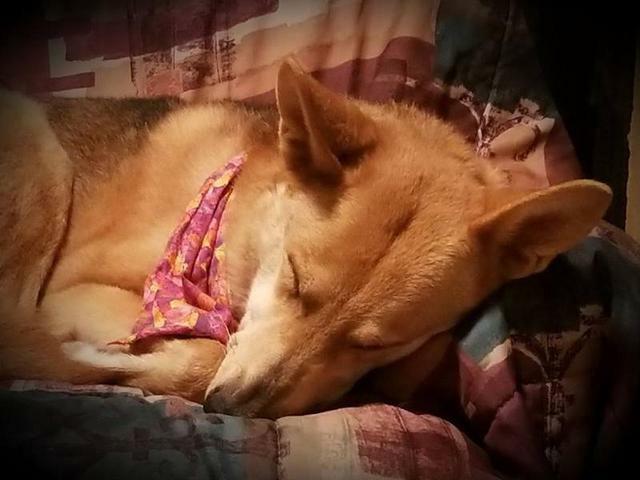 ​Viola is approximately 2 years old. She is a sweet, but very shy dog. She does well with nice or playful dogs. She is okay with cats, but might be frightened by rambunctious children. Hi, I'm Carly! 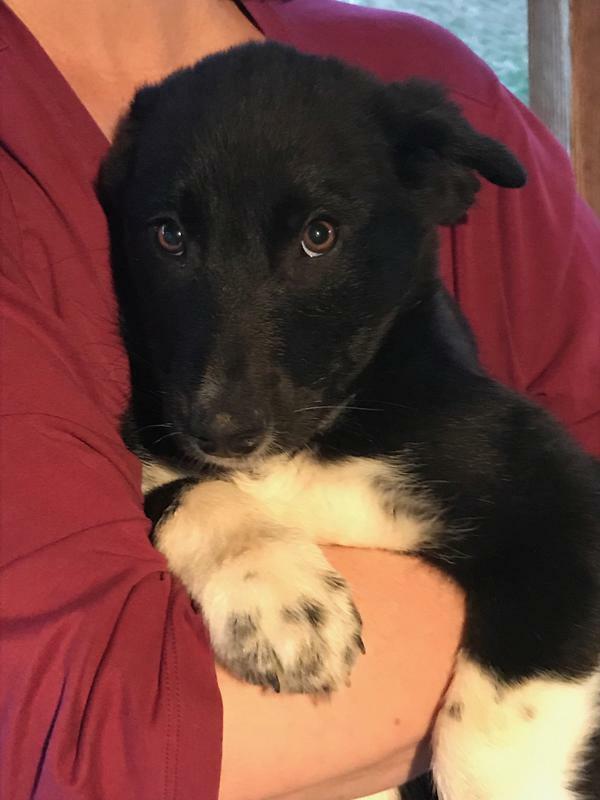 Now that I'm done with raising 8 puppies, I am ready for a home of my own too! 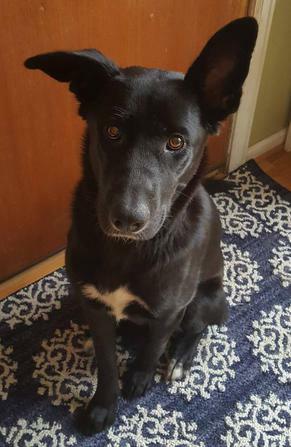 I am very sweet and super smart, about 60lbs, and 1.5 years old. I am friendly with people and dogs and I am interested in cats, but once I get a good sniff I treat it like a dog. 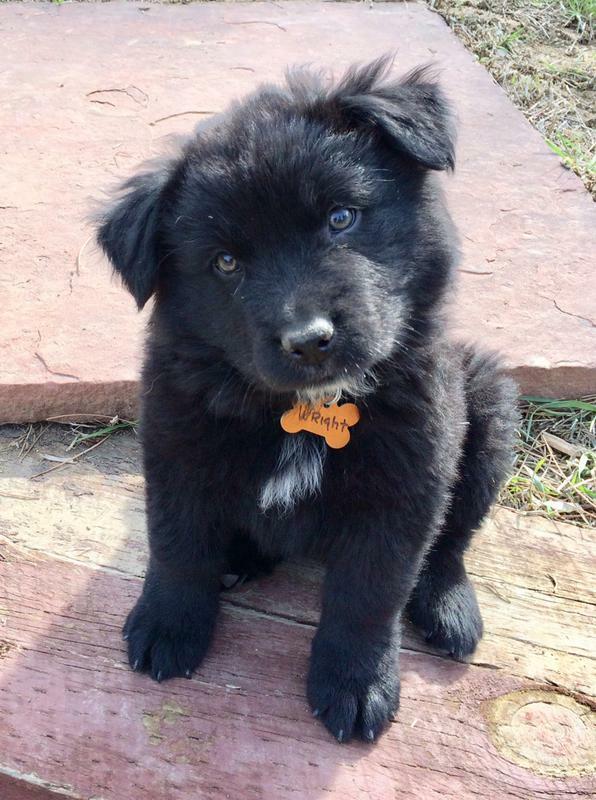 I am a very playful pup and love to play and romp. I do prefer a home with adults only. Because I'm so smart, I get bored easily and will start to chew out of boredom. I also go to my crate when asked and will generally calm down there, especially for bedtime! 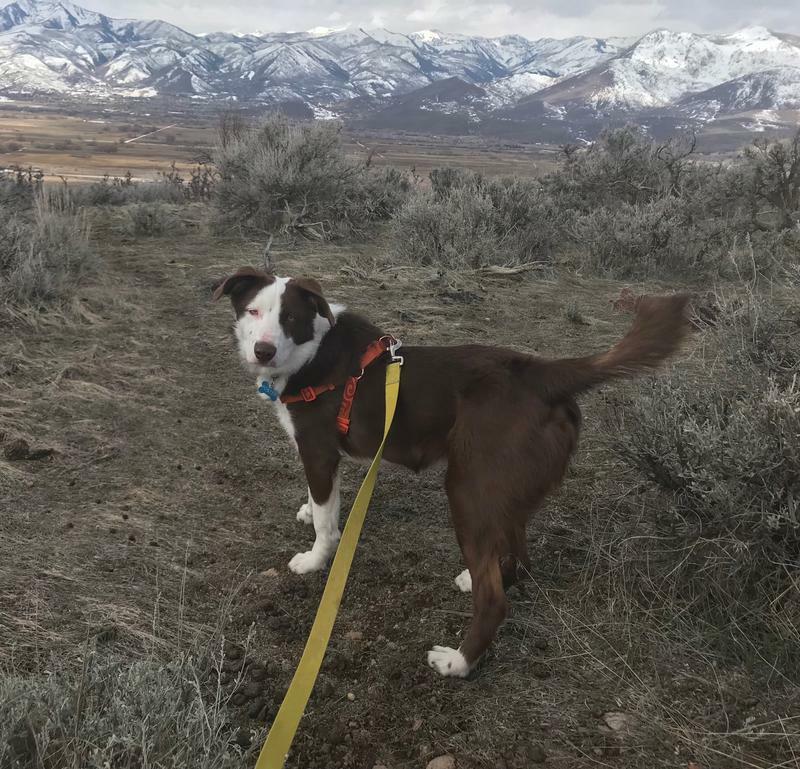 I am an active dog too and would love for someone to take me for hikes, long walks, or running (I love running, but I am still working on leash manners). 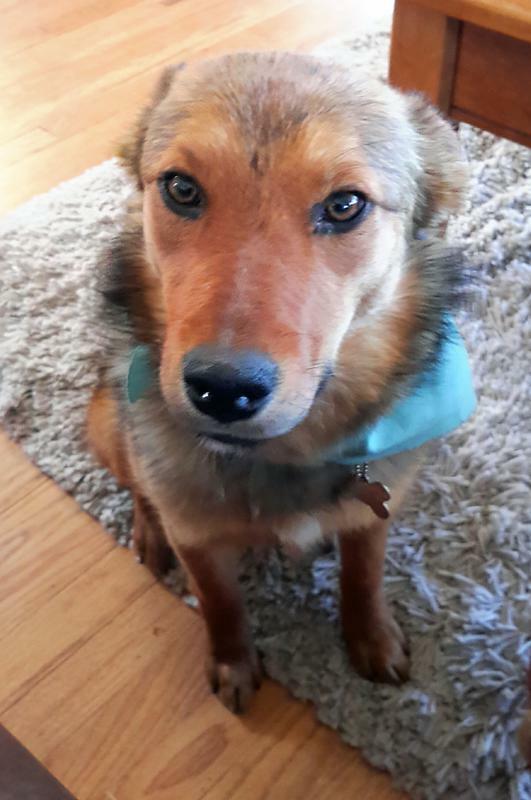 I am also a good girl at doggie daycare. 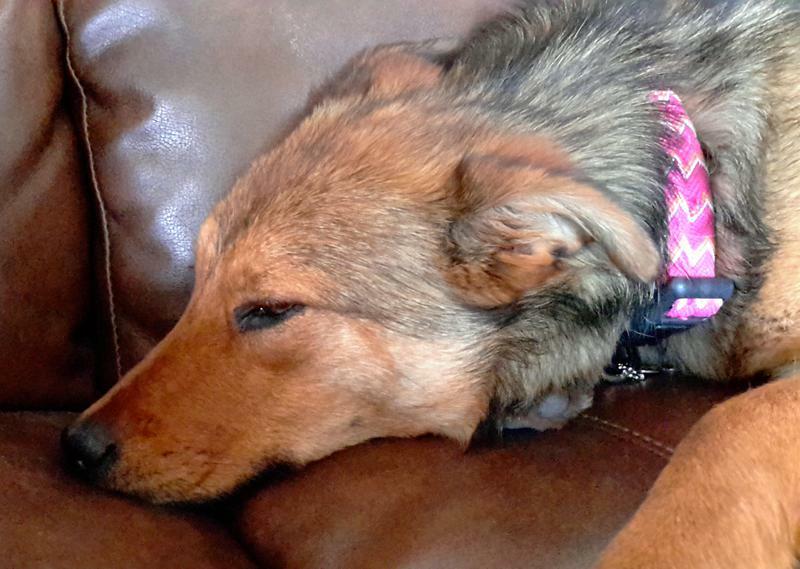 Maybelline (aka Mabel) needs an update as she has progressed greatly in the last few months. She can no longer be described as timid and is actually quite outgoing. She loves other dogs, cats and people. She has taken to clicker training enthusiastically and is quite smart. She is kind of a velcro dog - she just wants to be with her person (maybe people - I am the only person in my house, so...). If you're looking for a snuggler, she will be happy to oblige. 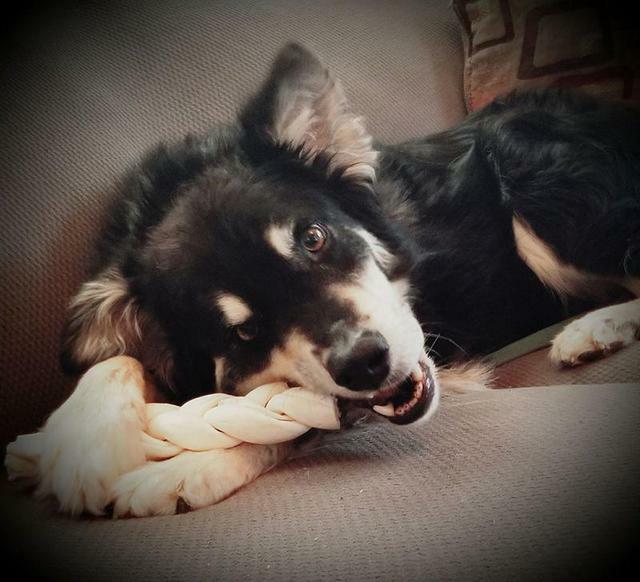 Maybelline is mostly food motivated, but she does enjoy the toys and chewies in the house. She did well at the vet - didn't freak out when the vet examined her and was perfectly amiable with her, though obviously not thrilled to be in that environment. And her velcro nature has been useful for leashwork – she basically walks in a near perfect heel. She has some separation anxiety and does not like to be left alone. However, if there is another dog around, she is fine. She’s pretty easy going and has grown out of her chewing stage, though if you leave a food wrapper laying out, expect to return to confetti. 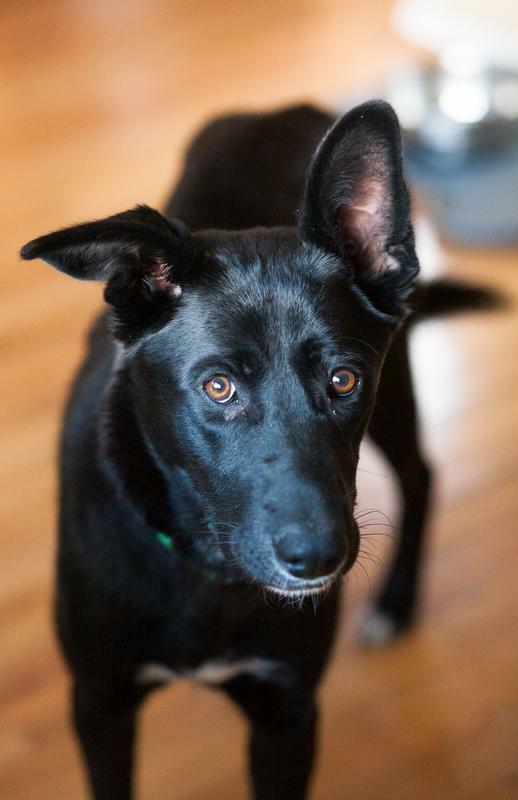 If you're looking for a companion dog you could not go wrong with her - she's a total lovebug and is very responsive to training. 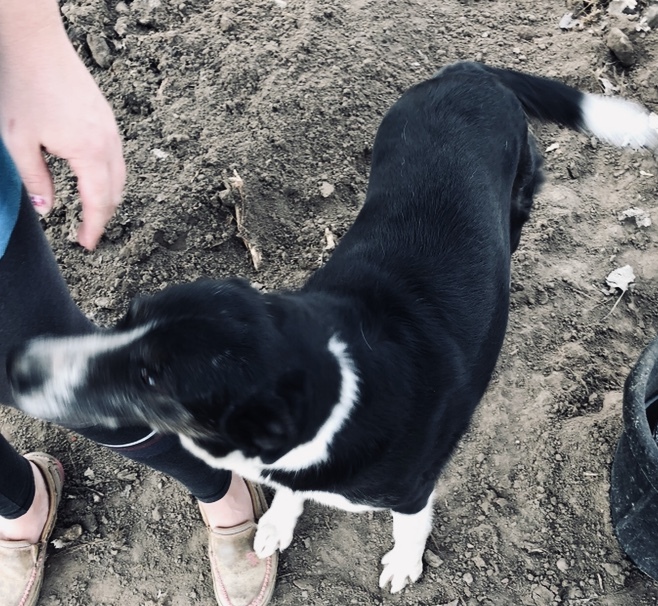 If you have another dog or other pets, she would be an ideal choice; in fact, it seems best for her to go to a home with other dogs (cats are a bonus) as she loves to play with my pack and other dogs. 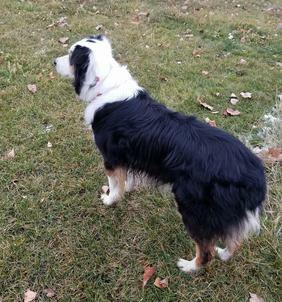 Cooper is a 6 year old tricolor Australian Shepherd. 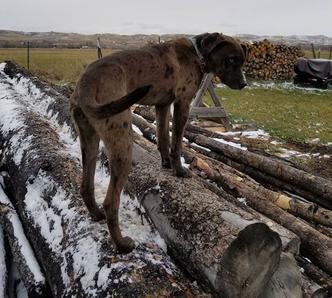 He is on the bigger side, around 60 lbs. 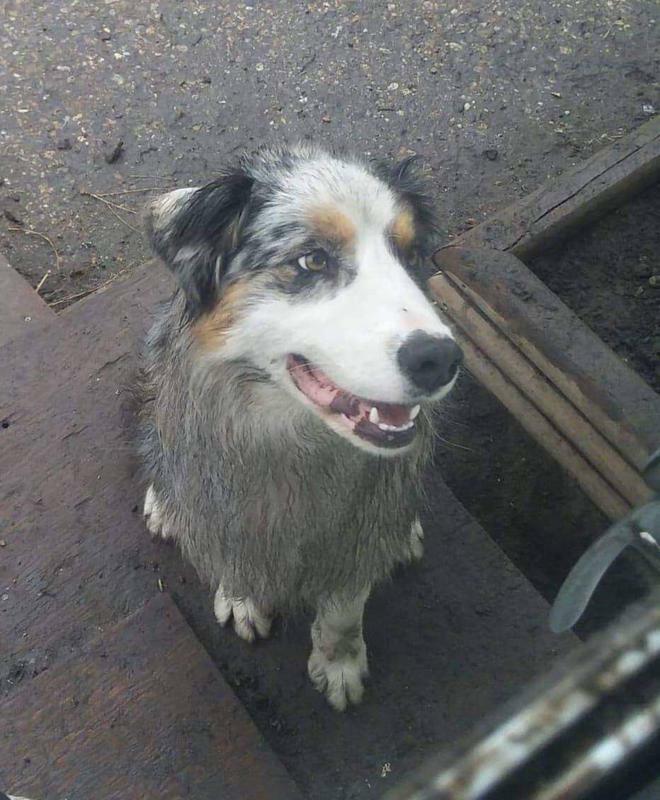 Cooper is a typical aussie. 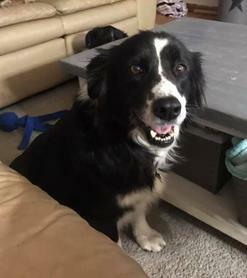 ​Samoa is a 6 year old female Border Collie mix. She loves her people and loves to have someone to play with. She does well on the leash with a few reminders to "leave it". She does have aggression towards other animals, she needs to be the only one in the home. Samoa also loves children and is very tolerant of them. 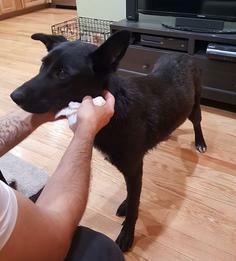 She is a very sweet dog who needs to find her forever home. 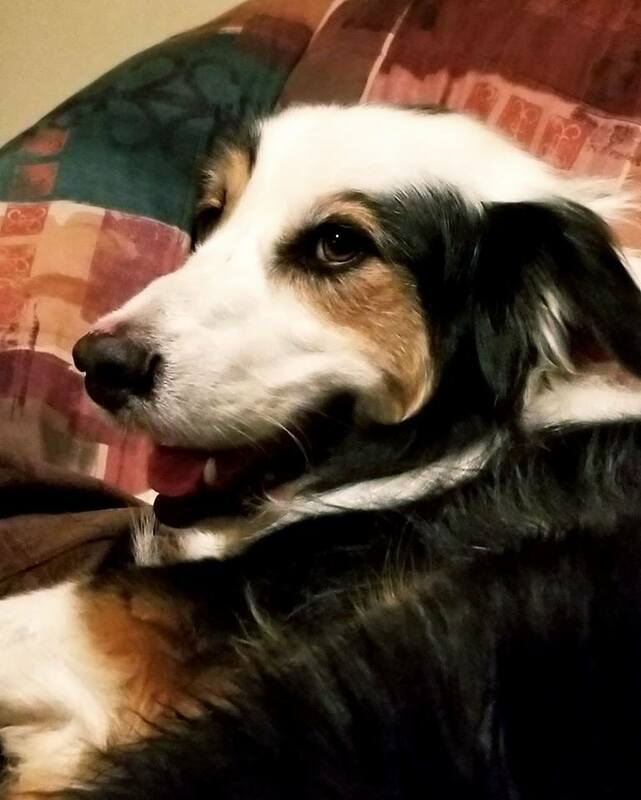 ​This is Star and she is a star. She has an incredible amount of energy and seems to be on the go most of the day. Unless she is resting, then she likes to be close to her human. 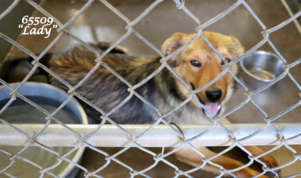 She will need an owner that has time to spend with her and can give her the attention she needs and deserves. 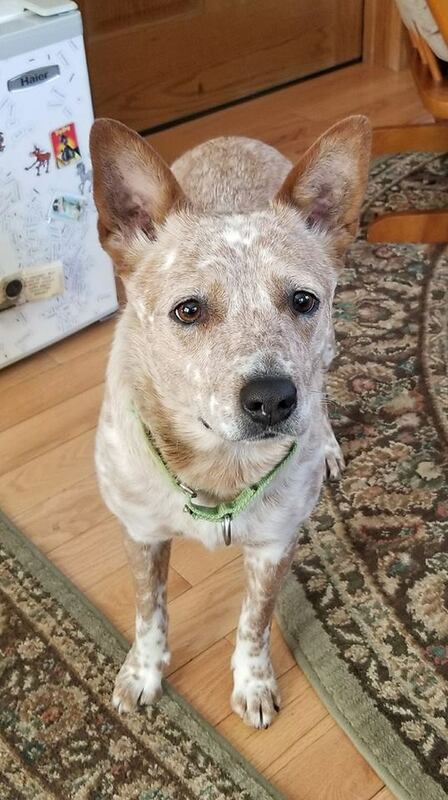 She's barely a year old and has not had a lot of (if any) training. We are working on some basic commands and housebreaking. This is made difficult, however, because it appears she has bad experiences in life. She's frightened of commands. She is frightened of strangers and particularly men. She tries to make herself as small as possible when there is a man in the house and is refusing to come inside from outside if she thinks there is a man in the house. She is working on this but it will take a lot patience and consistency to help her overcome early bad experiences. She's worth it. She loves, loves other dogs and loves to play with them. 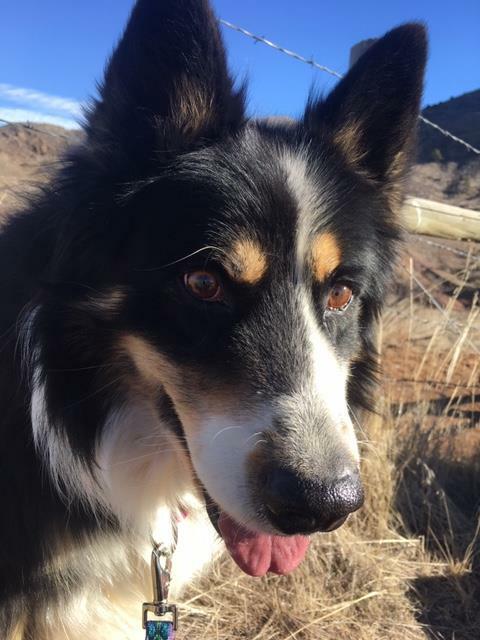 She loves to run and would be a great running companion. 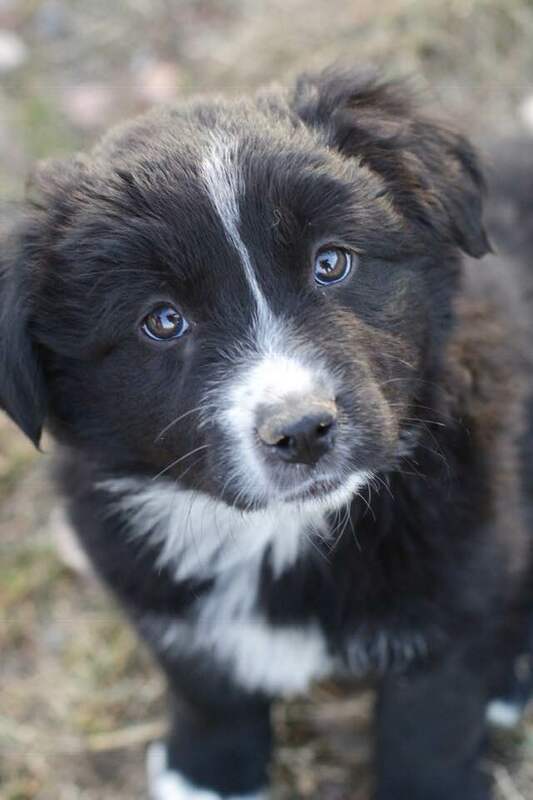 She's not trustworthy off leash, yet. She's worth the time and effort for the right home. Beautiful to a fault. Character to Nth degree. She's a lovely lady and worthy of her name. She's a diamond in the rough. Hello! My name is Gus. 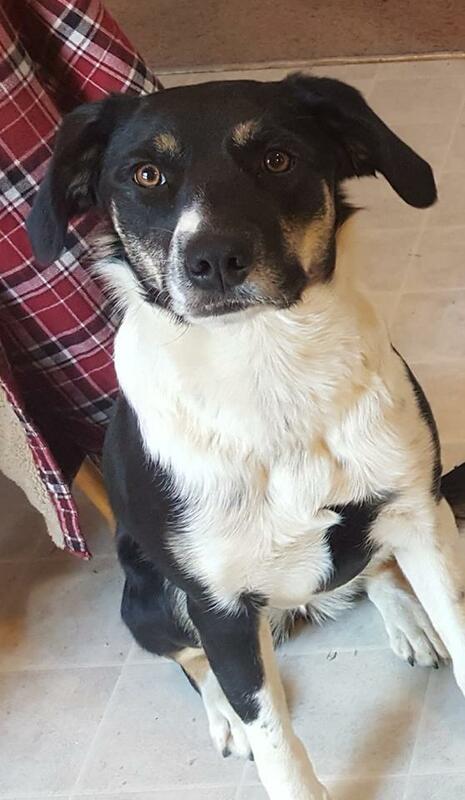 I’m about 4 years old 50 lbs and I am a Border Collie! My favorite things are being outside, playing with a ball, and laying around on something soft! I do great with other dogs, but I haven’t met any cats yet. My exercise has been restricted due to a heart worm diagnosis but I seem to show interest in going outside on a walk. I am house trained and know when I need to go outside and don’t have accidents. I do well on a leash and in the car. Gus was not my given name, but I’m slowly figuring out how to answer to it. I am a good boy who can be trusted out of the kennel without making a mess in the house. I love most of all meeting and greeting new people with a big smile and a tail wag! 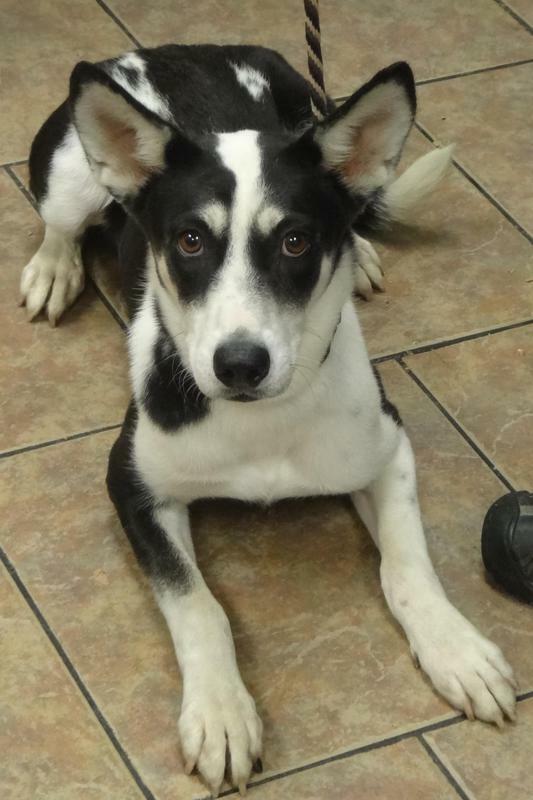 Chief is a large Border Collie mix, weighing in at 62 pounds. We believe he is 5 or 6 years old. 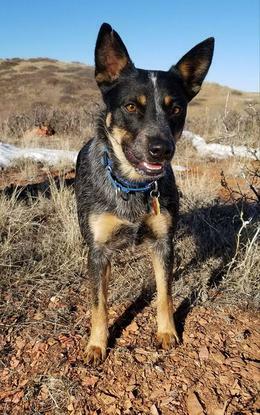 Chief was found as a stray in southern New Mexico, but his demeanor suggests that he was once a beloved pet. Chief is a gentle dog. 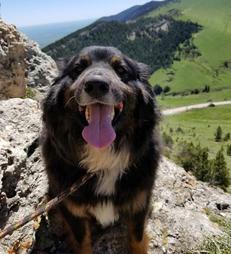 He is a good hiking dog, but is also happy to hang out with his people. 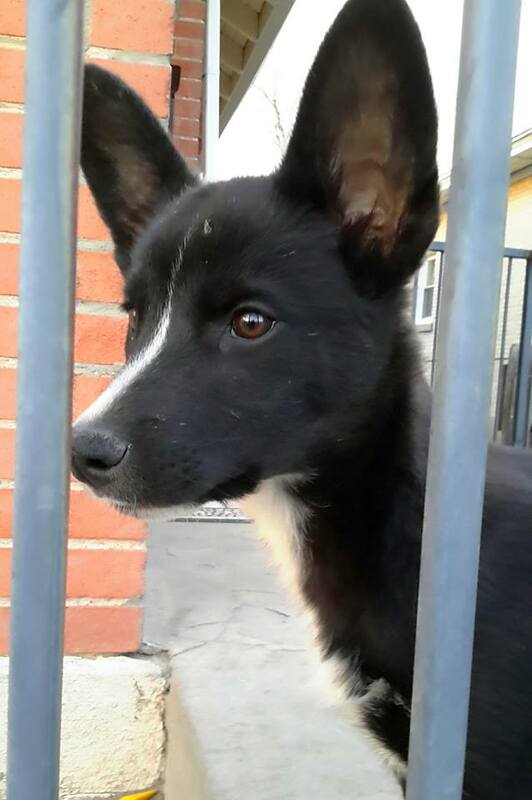 He is crate trained and house trained. He knows sit and shake. He does fine with the other dogs in our household. 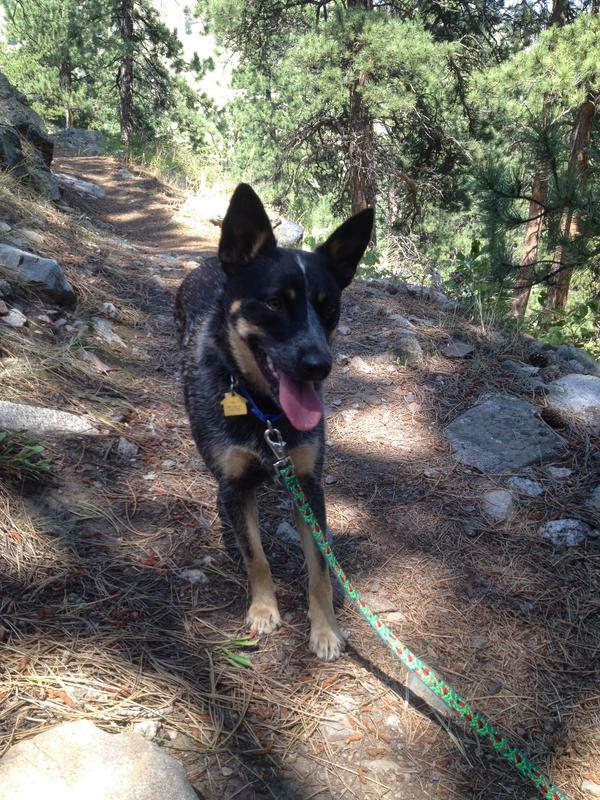 ​Quigley is a 3 year old female Australian Cattledog (and mom to the Classics pups). 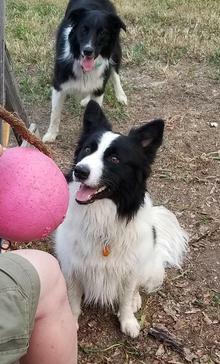 She is very sweet and LOVES, LOVES, LOVES her ball. 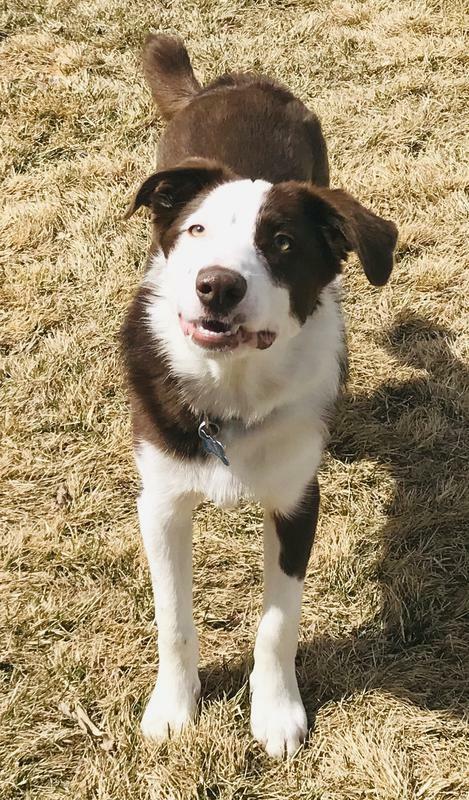 She will paw your foot to let you know you need to keep throwing her ball. She is generally good with cats and is good with most dogs. We think she would be fine with kids. 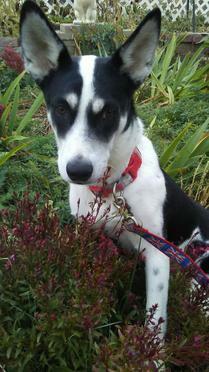 Doc, is a delightful, dashing 6 month old red and white smooth coat Border collie. 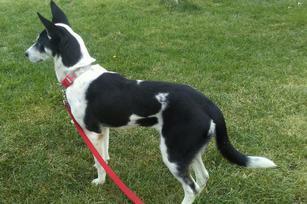 To add to his beauty, charm, and character, Doc has a 2/3 length tail! 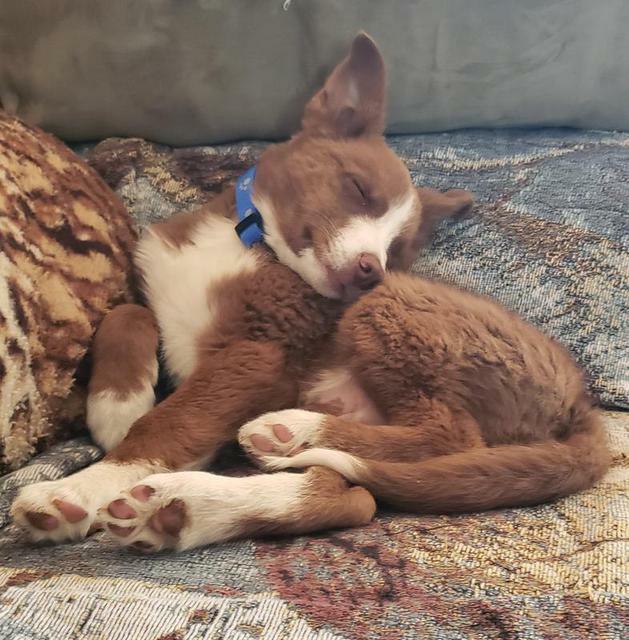 We don’t know if he was born with a naturally short tail, or if it is due to an accident, but whatever the cause, it doesn’t bother Doc in the slightest! 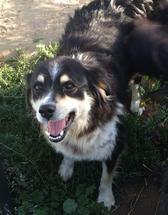 Doc is a happy, bouncy bundle of fun! His favorite thing to do is anything his people are doing. 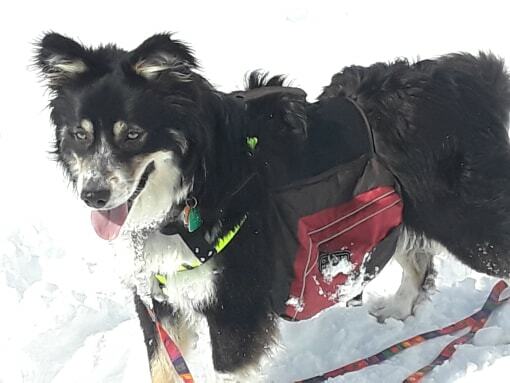 If you want to snowshoe, Doc wants to snowshoe. If you want to play soccer, Doc wants to play soccer. If you want to cuddle, Doc wants to cuddle. 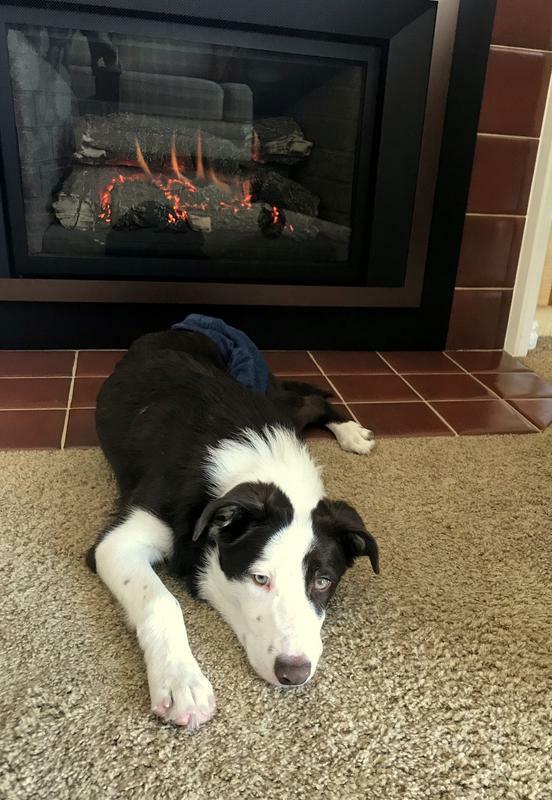 If you want to chill in front of the fireplace, Doc is right there with you! 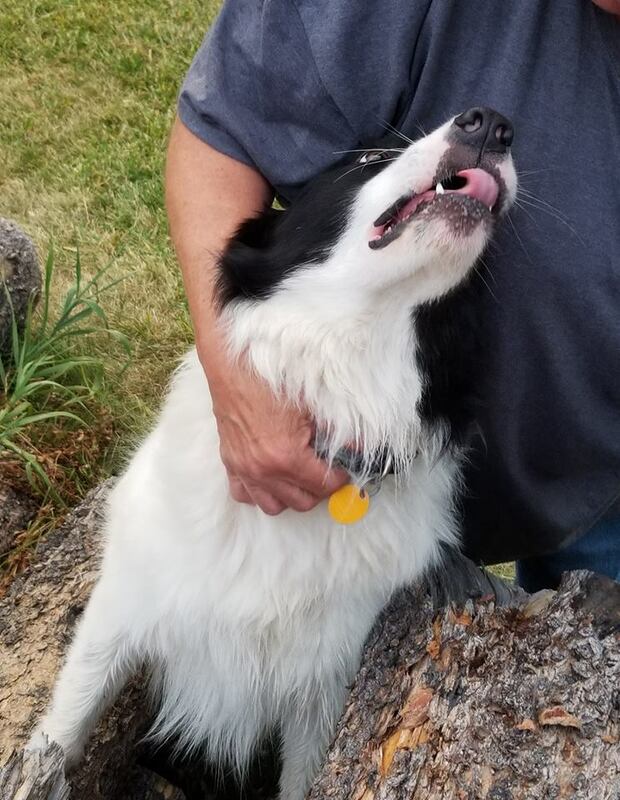 Although he absolutely loves HIS people, Doc can be shy around new people. Given just a little space and time, Doc warms up and becomes everybody’s friend! 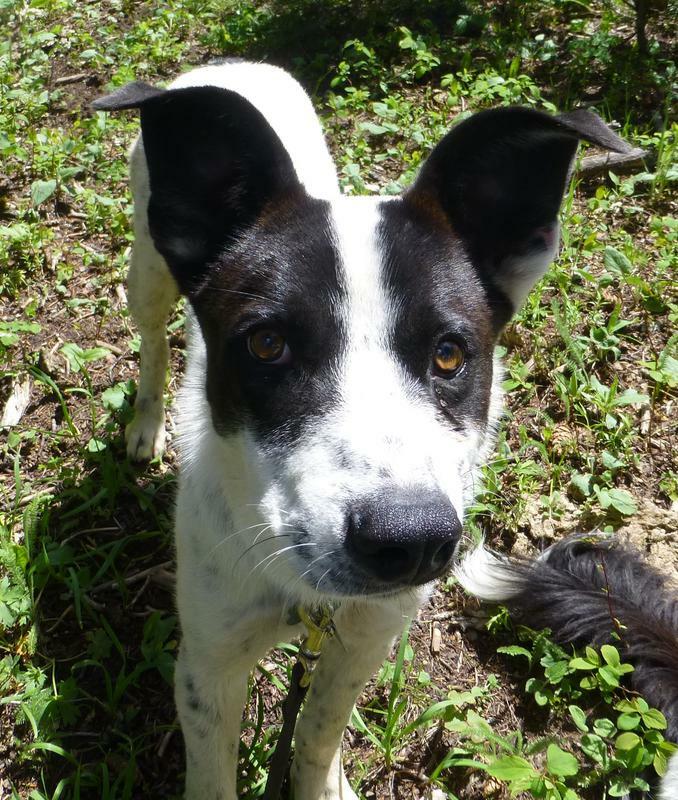 Doc had a rough beginning in life and was surrendered to a rural shelter for having too much energy and being somewhat fear reactive. (As always, there is more to that story….) We haven’t seen a lot fear, but we do see a happy, impressionable, extremely intelligent pup with strong opinions! Doc’s rough start is behind him now! He does not dwell on the negatives in his life. His world is roses and sunshine! 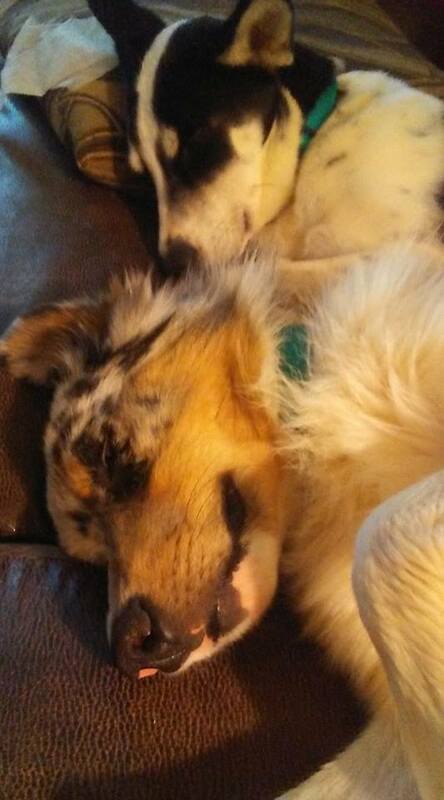 Doc does very well with other dogs. 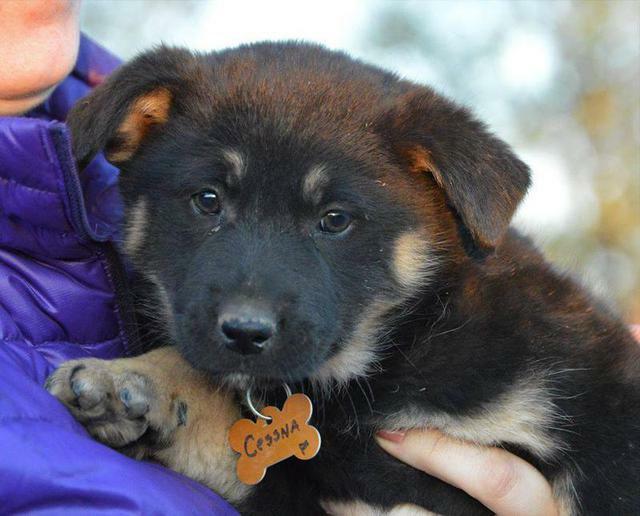 His best friends include a Doberman, a heeler, a hound, a hound/GSD mix and his foster family’s 5 Border collies. 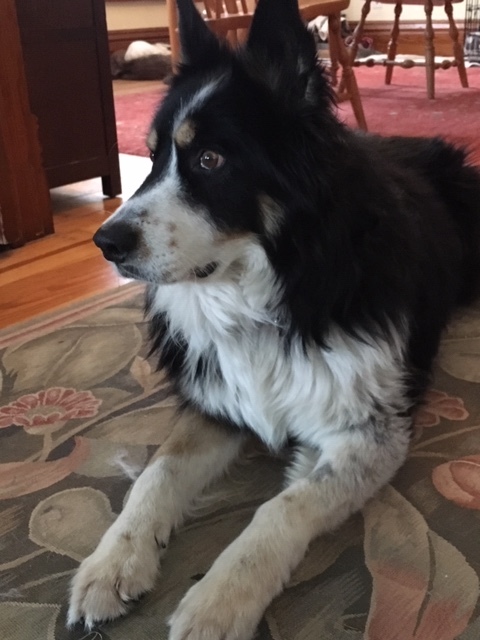 He reads other dogs well and interacts with those who want to interact and respects those who don’t. Doc also does well with cats! He has been around horses with no problems. 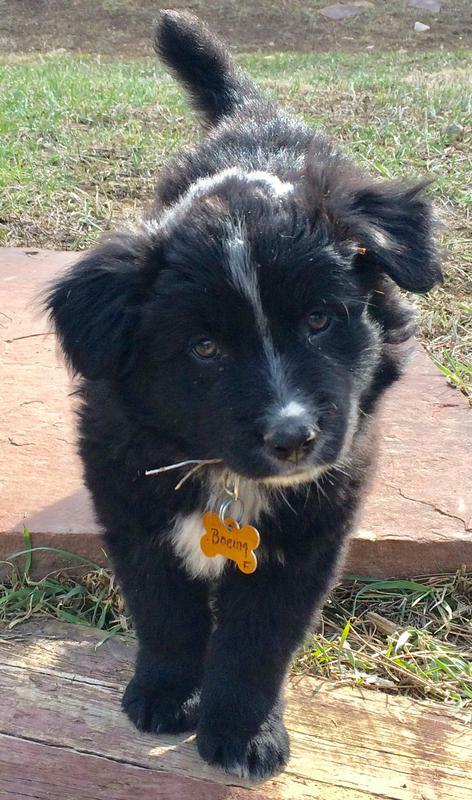 Doc will require a good dose of daily exercise as he grows. He walks/hikes/snowshoes/etc. for 25-30 minutes now, but that will need to increase as he matures. When he gets daily physical and mental stimulation Doc is mellow and is very happy to relax and chill. He has a great “Off” switch. 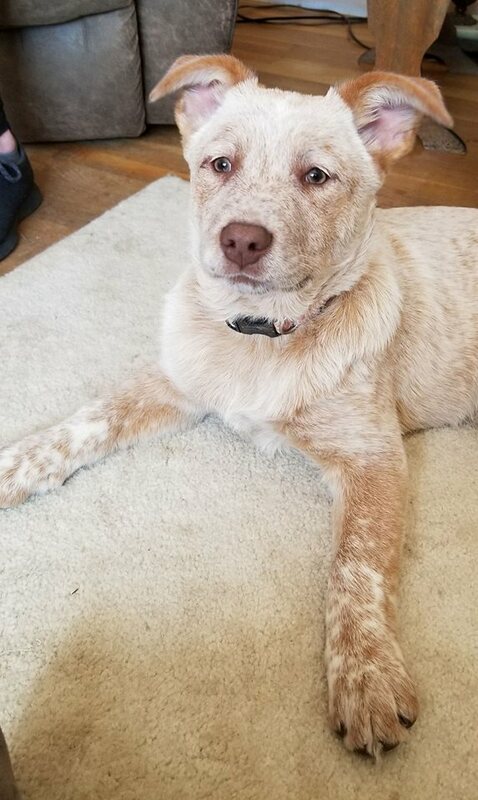 Doc is eagerly learning basic commands (sit, down, wait, stay), how to walk on a leash, house training and crate training. He is doing very well in all aspects of his training. 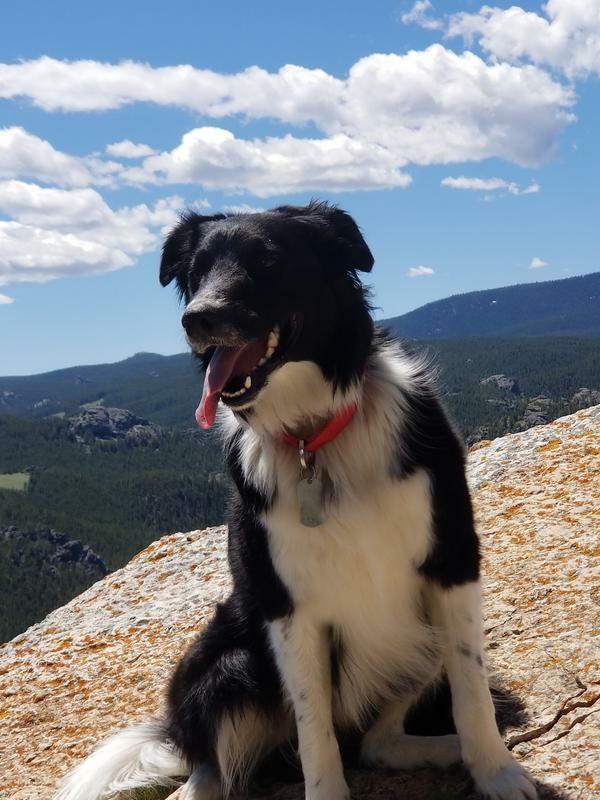 He is a fun dog to teach! 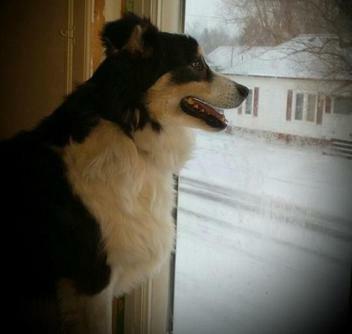 Doc will thrive in a loving home where he is a valued member of the family and can take part in most family activities. 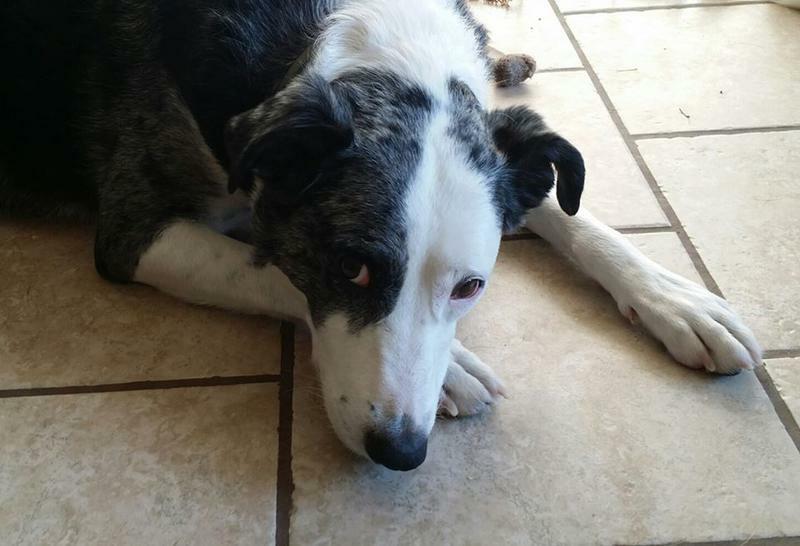 Due to his rough start, Doc should not be in a home with children under the age of 10. 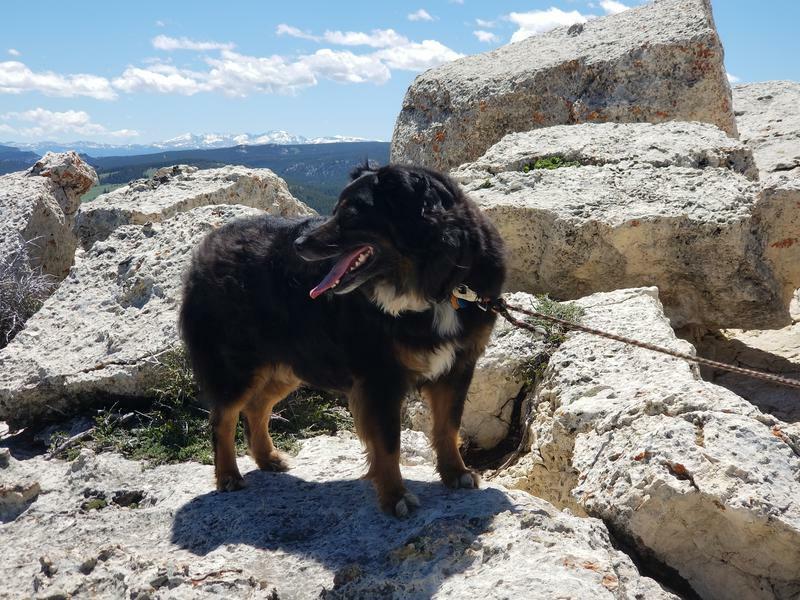 Doc needs a job (agility, hiking, biking, skiing, obedience, moving livestock, etc. 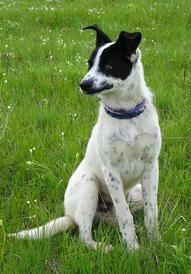 ), a breed savvy home and gentle, soft, consistent and firm leadership. Doc adores his people and gives his whole heart and soul to them. 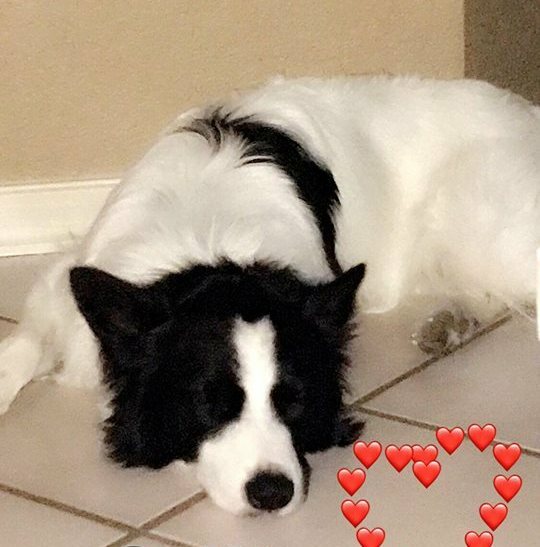 UPDATE ON DOC! 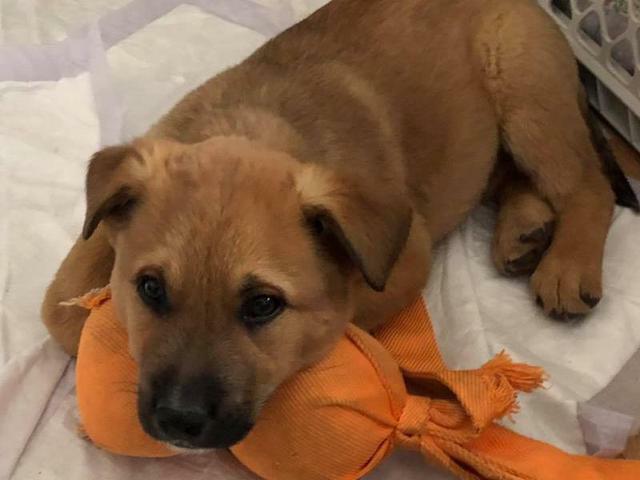 Doc the little red dynamo is growing up and has earned the nick name of Prince Charming, because he charms his way into everyone’s heart – dog, cat, man, woman and child! Doc is full of happiness and keeps everyone laughing! Doc now meets people with enthusiasm and joy, though is still reserved with some. He has mastered basic manners and is very easy to be around! He is good in the house and can be left loose for a few hours. 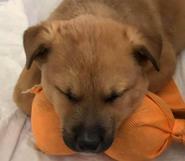 He likes his crate and if his foster family is going to be gone for more than a few hours, he happily goes to his crate. If he has a Kong with peanut butter, he is the happiest crated puppy in the world!!! 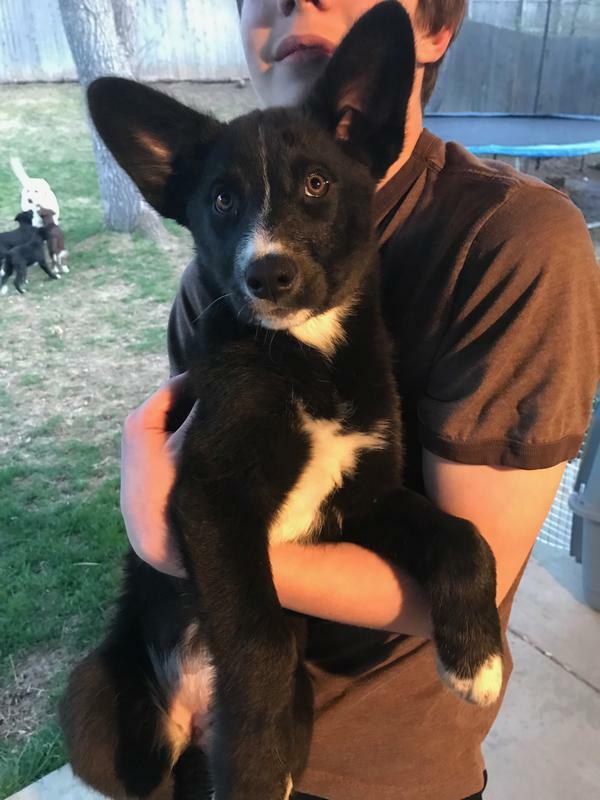 Doc is an energetic puppy and is full of vim, vigor and vitality, but at the end of the day all he really wants to do is be close to you and snuggle! 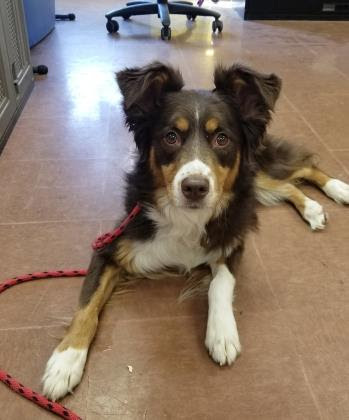 Doc was surrendered to the shelter as a border Collie, but after spending time with Doc we suspect he has some Australian shepherd in him as well. That would also explain his tail length  Doc is very athletic and intelligent; no surprise there considering his breed(s). 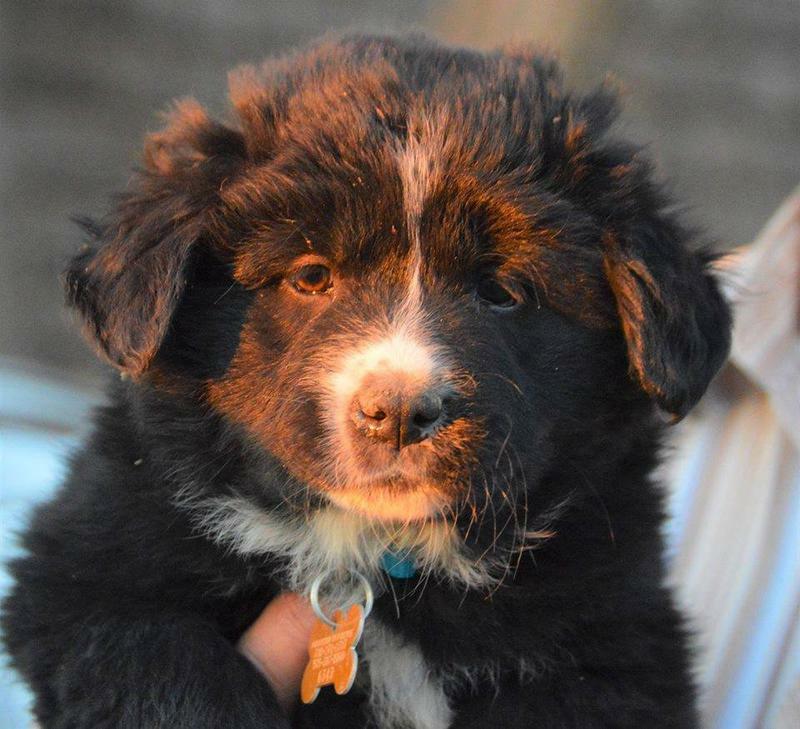 We think he will probably be 35-40 pounds when he is full grown. Doc is pretty uncomplicated. All he asks for in life is an active family who loves him, cares for him, treats him fairly, keeps him safe and includes him in most of their activities. In return Doc will give LOTS of love, laughter and loyalty. 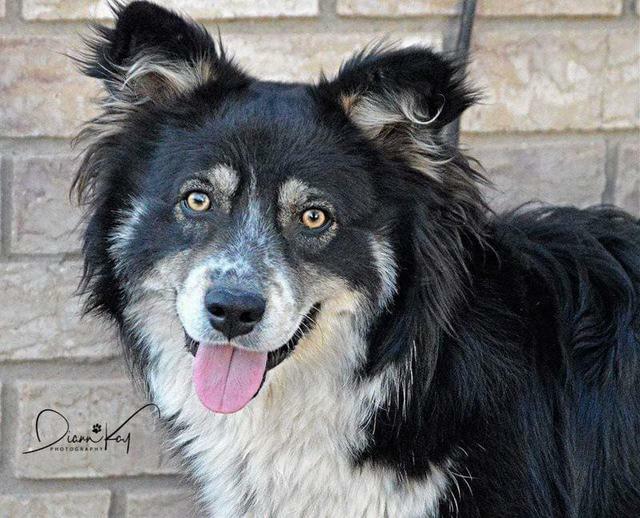 Bentley is a young adult Australian Shepherd with a full tail. He really loves kids. I had 15 people at my place over the weekend and everyone fell in love with him. Children were ages 4 and 12. 3 kids total. He comes when called, is potty trained. Uses the doggie door. He definitely will need an active person or family . 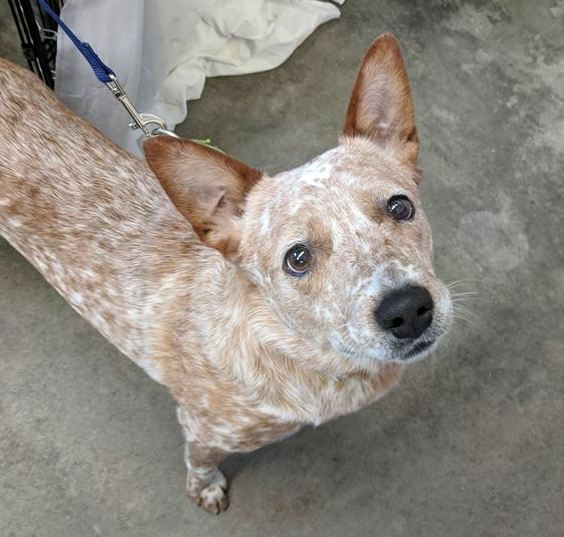 He is very social and wags his tail at strangers walking towards him and wants to meet everyone. He is skittish of anything that drops or quick movements. Working on desensitizing him with that. He runs to the other room if something is dropped. 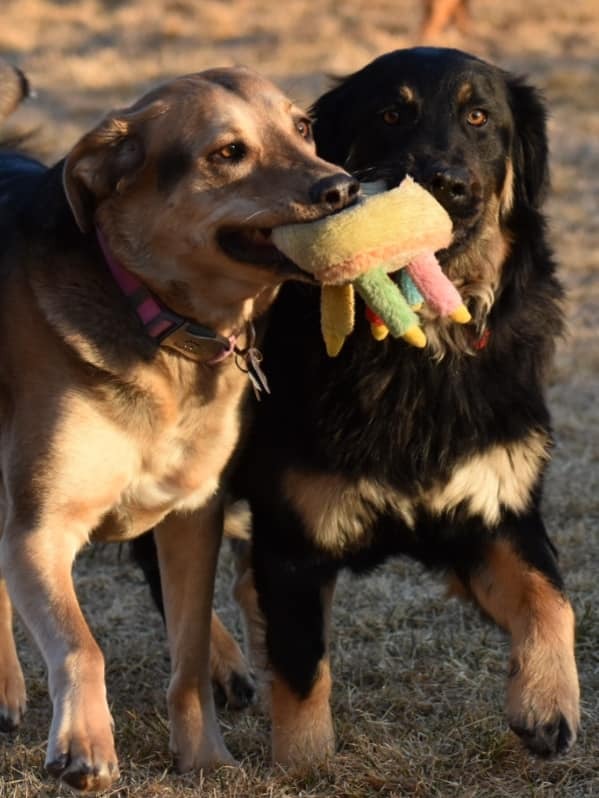 Plays well with other dogs. Cats, not tested. He would be a fantastic running buddy. In a nutshell, he is a prince! 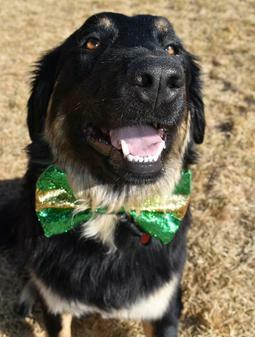 ​Goober is up for adoption because she is a great indoor/outdoor dog. However she is not an apartment dog. The owner has had her for the past 10 yrs., however life changes moved her to an apartment from the ranch. Goober prefers to be around people often and have room to move. Goober loves people. She likes to be around all ages of people. She likes to be active. She loves car rides. Goober is more of a one on one dog. She gets protective of what is hers. She is only this way towards other dogs. But she has been raised with small and large dogs. 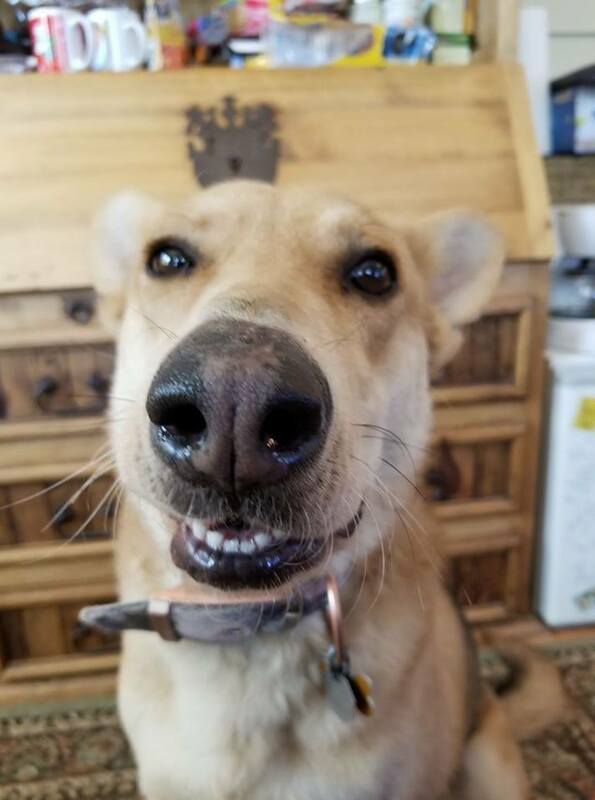 Goober does like to talk quite often. She talks a lot when she is excited especially. She is also an intact female. Goober is 3 legged but has been that way since she was 3 months old. It definitely doesn’t slow her down. She will herd and head other animals. 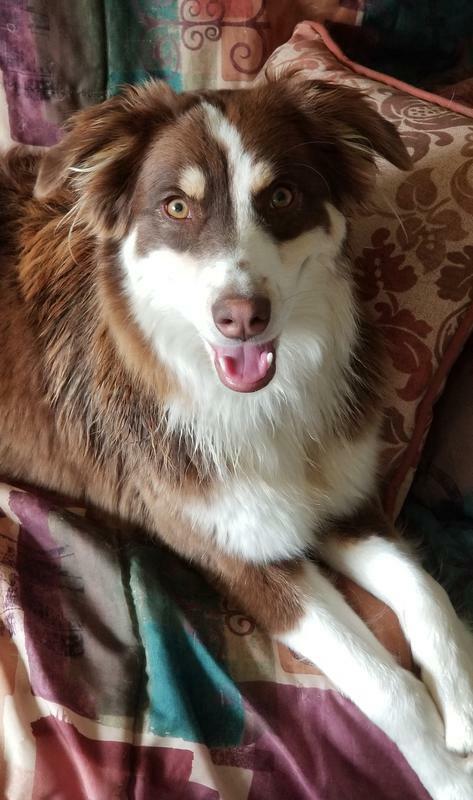 Jessie is a 1 year old red/white Australian Shepherd. 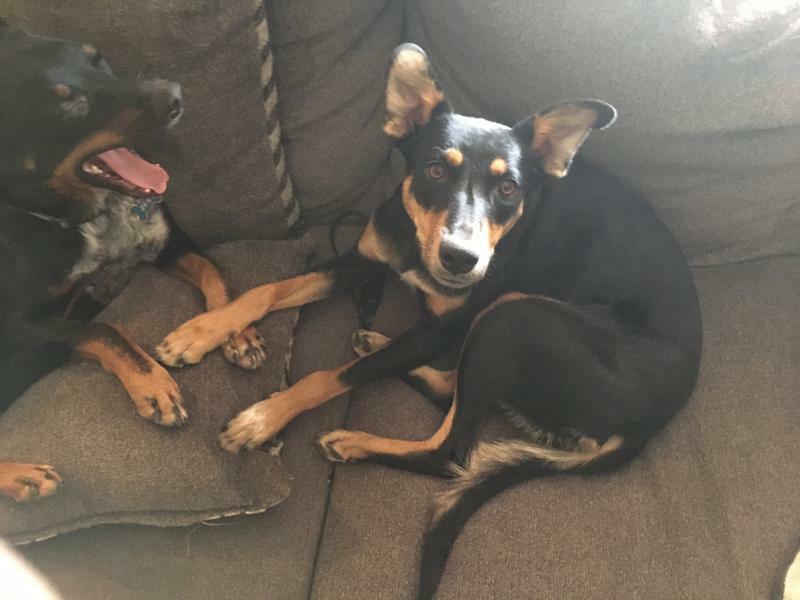 She is super cute and great with other dogs! 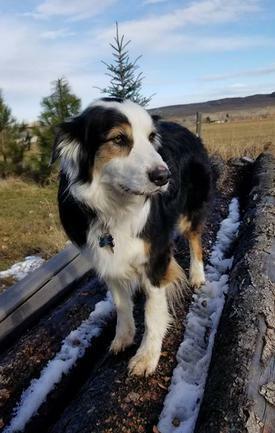 Verkin is a 6 year old Australian Shepherd. he is curretnly about 47 lbs. He will need an experienced home. 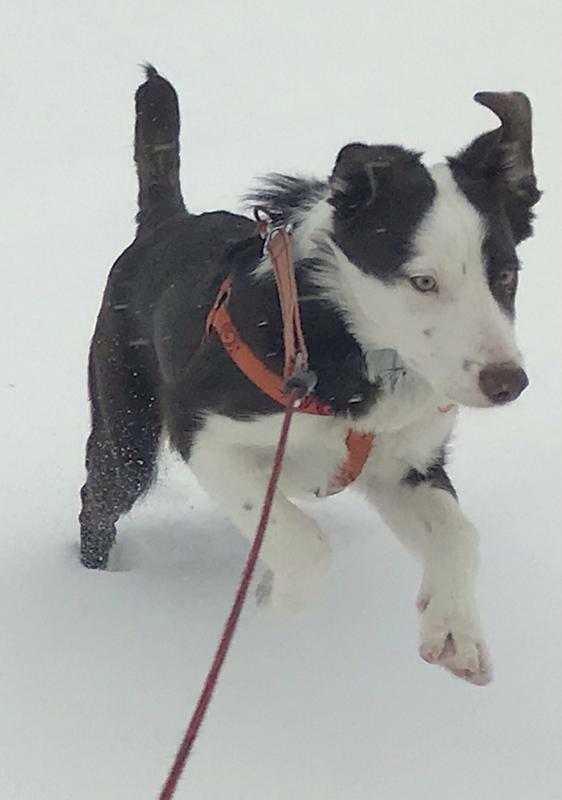 River is a fantastic young dog. She is energetic and sweet. 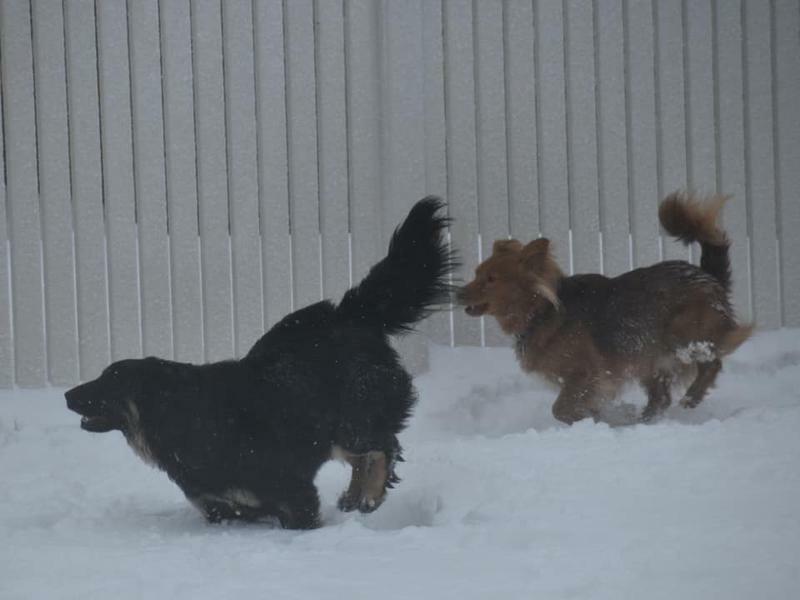 She loves to romp with other dogs. 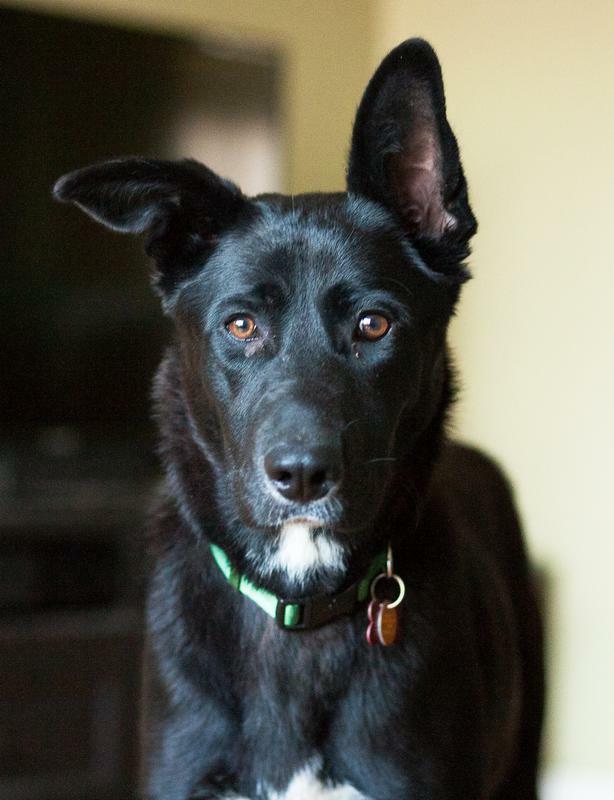 She will do best in an active home that has time to spend with her. When it rains, it pours! Or, its raining cats and dogs! But oh, aren't they cute! These little guys are about 3 months old. 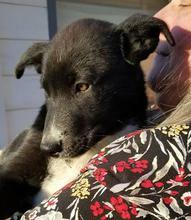 We believe they may be Border Collie/Husky crosses. ​2 girls, 4 boys. 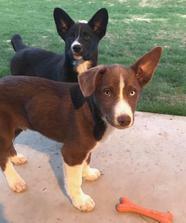 ​The flying high puppies are about 3 months old and are believed to be Australian Shepherd/German Shepherd mixes. Such cuties! 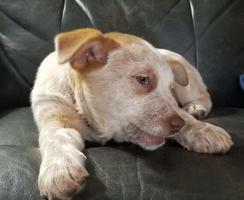 ​Mercedes is a purebred Australian Cattledog and is 4.5 months old. 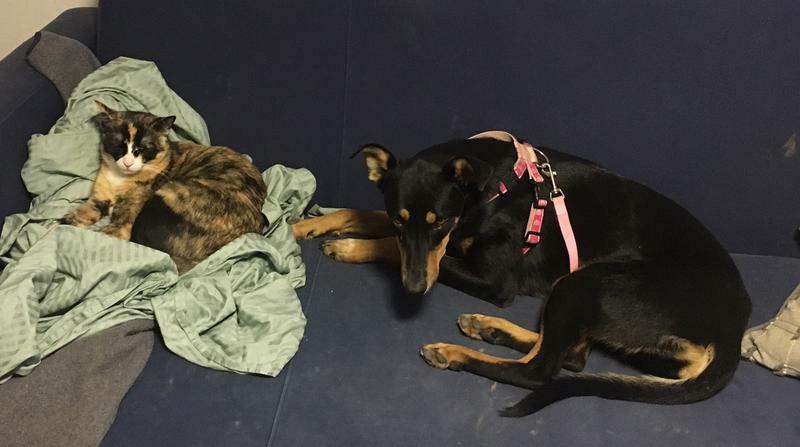 She is good with other dogs and cats. She would be fine with kids. She is very chill.